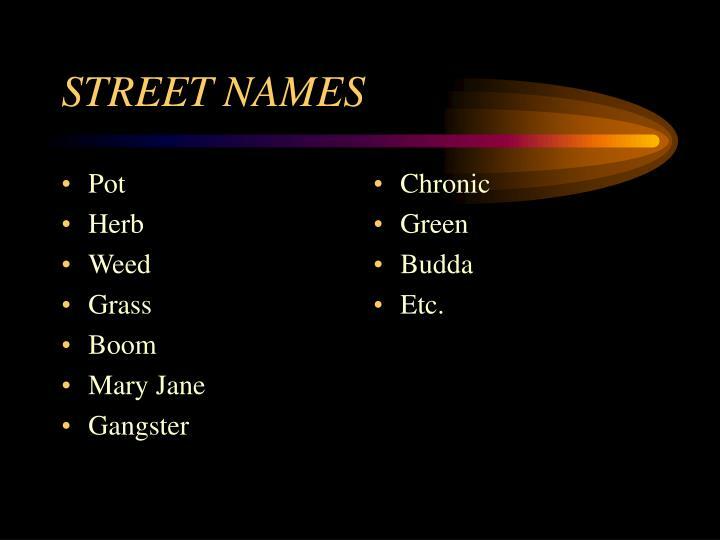 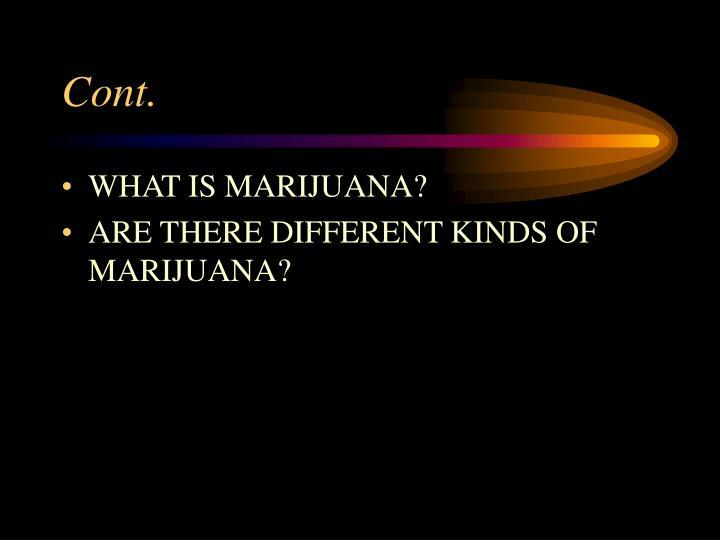 ARE THERE DIFFERENT KINDS OF MARIJUANA? 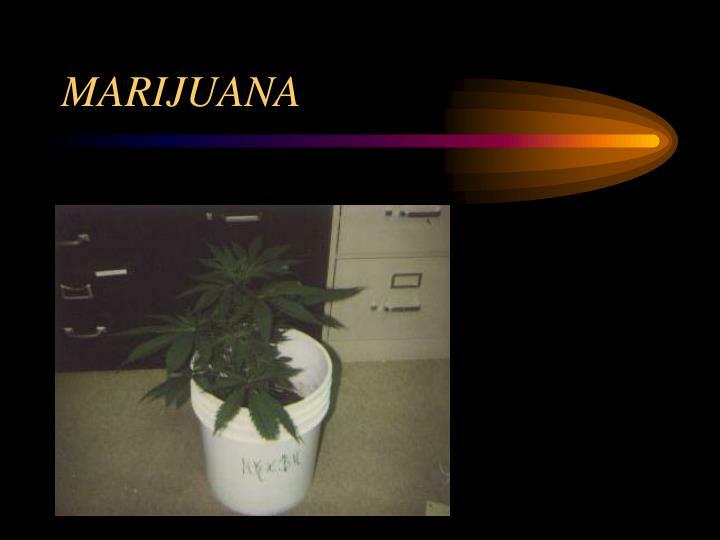 How long does marijuana stay in system? 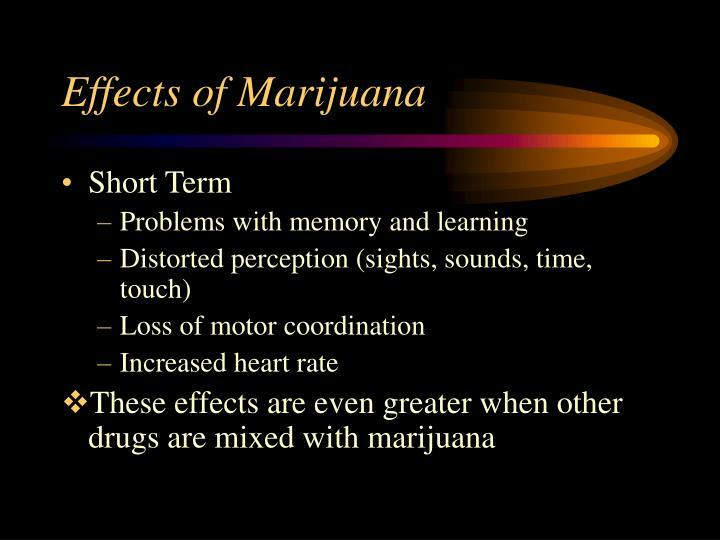 THC in marijuana is strongly absorbed by fatty tissues in various organs. 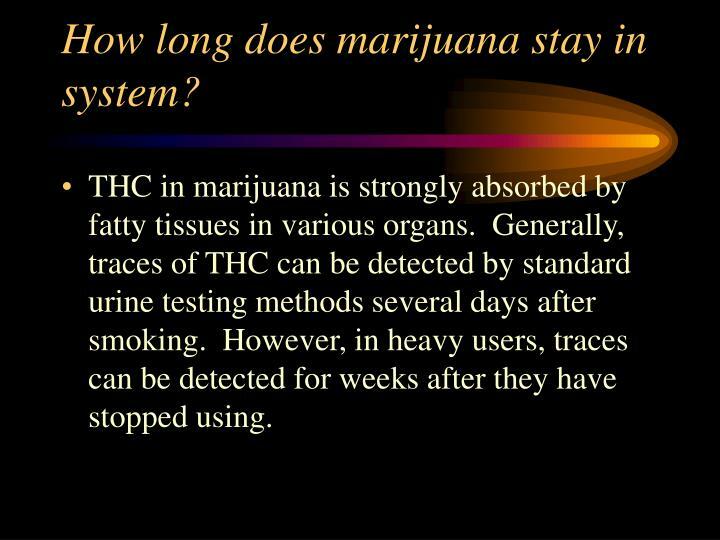 Generally, traces of THC can be detected by standard urine testing methods several days after smoking. 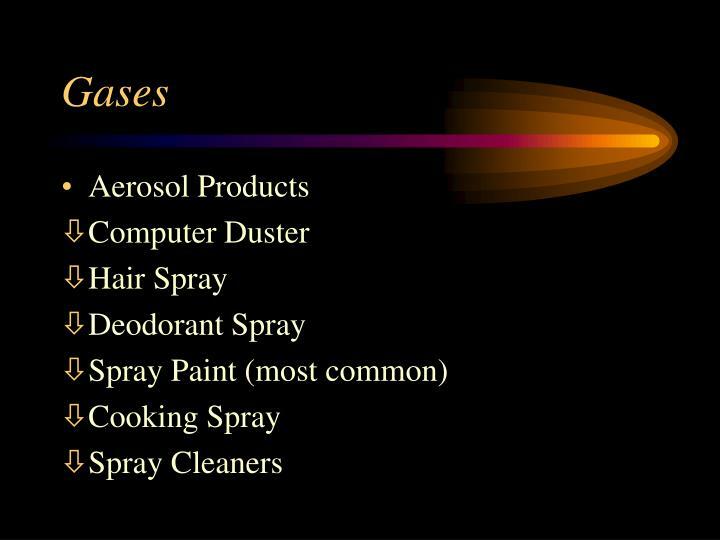 However, in heavy users, traces can be detected for weeks after they have stopped using. 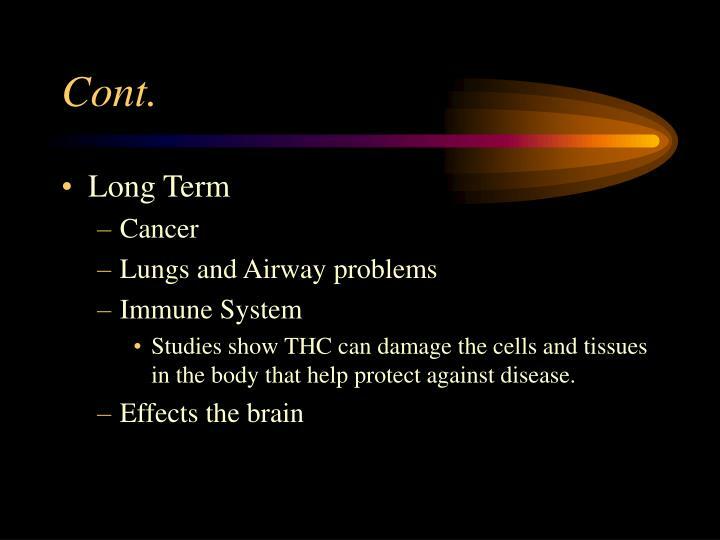 Studies show THC can damage the cells and tissues in the body that help protect against disease. 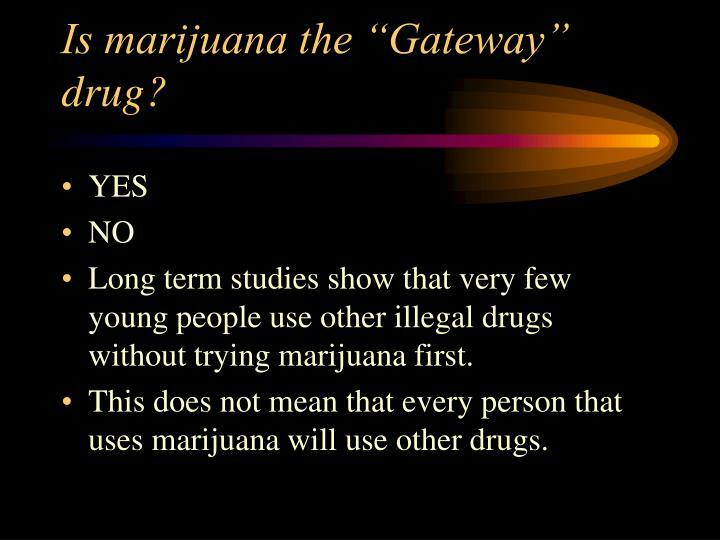 Is marijuana the “Gateway” drug? 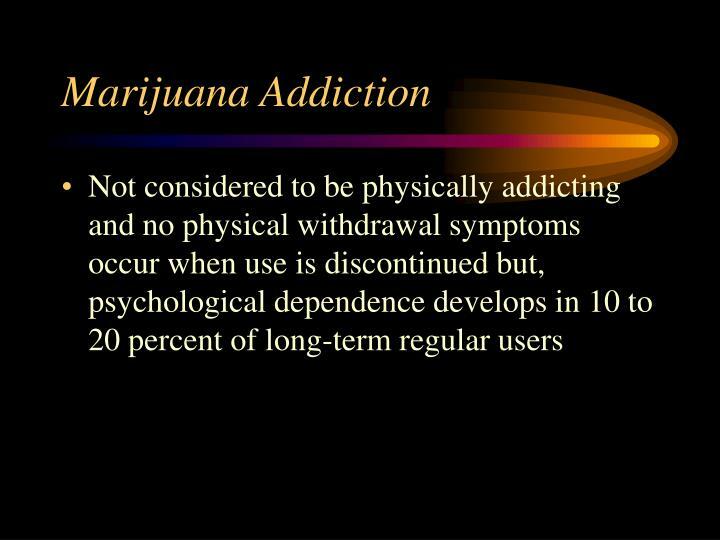 Long term studies show that very few young people use other illegal drugs without trying marijuana first. 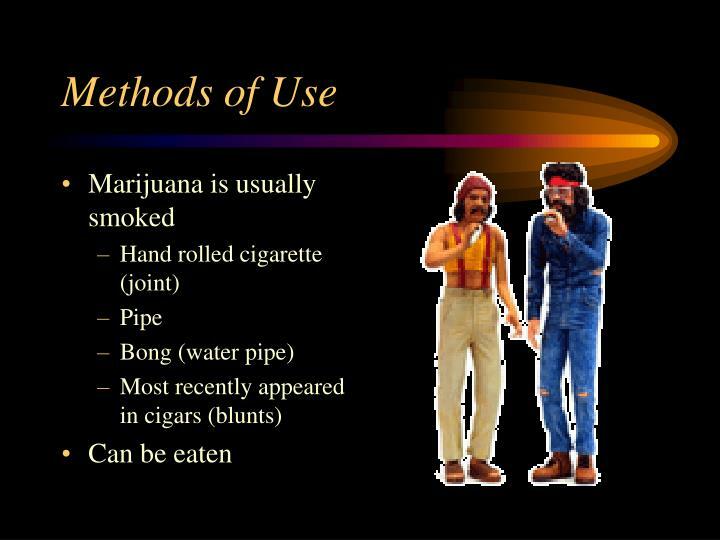 This does not mean that every person that uses marijuana will use other drugs. 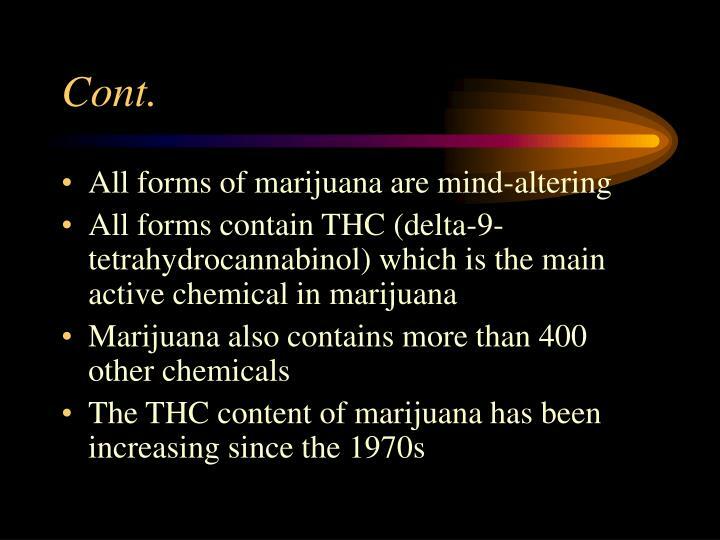 THC is manufactured into pill form and is available by prescription. 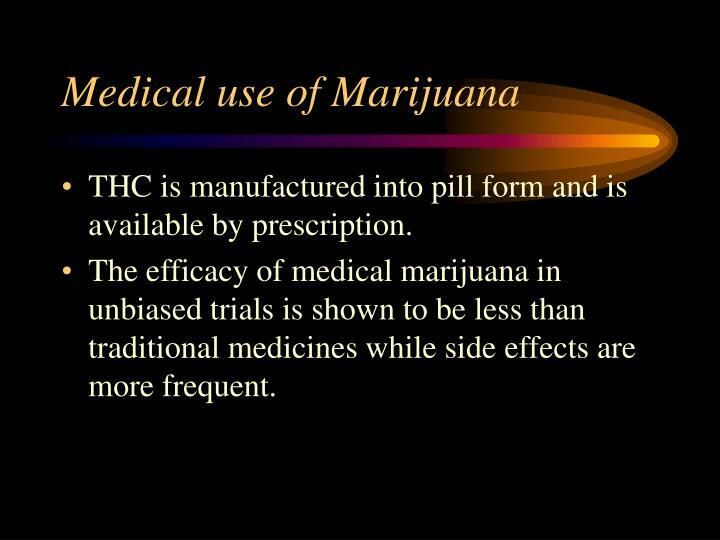 The efficacy of medical marijuana in unbiased trials is shown to be less than traditional medicines while side effects are more frequent. 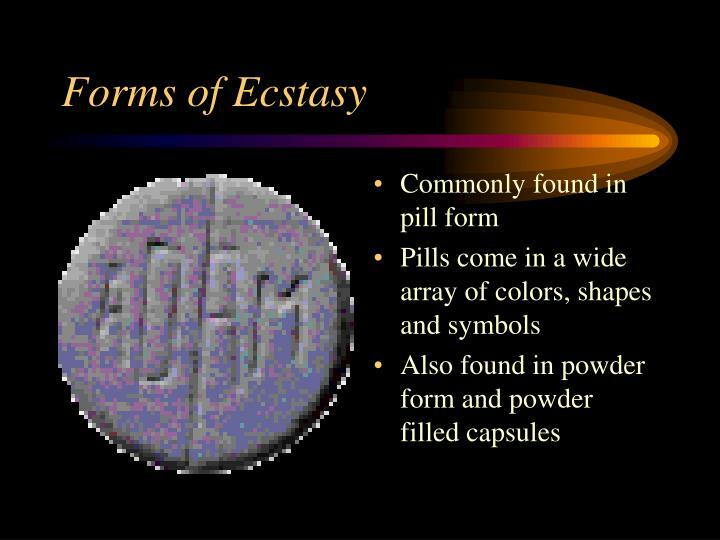 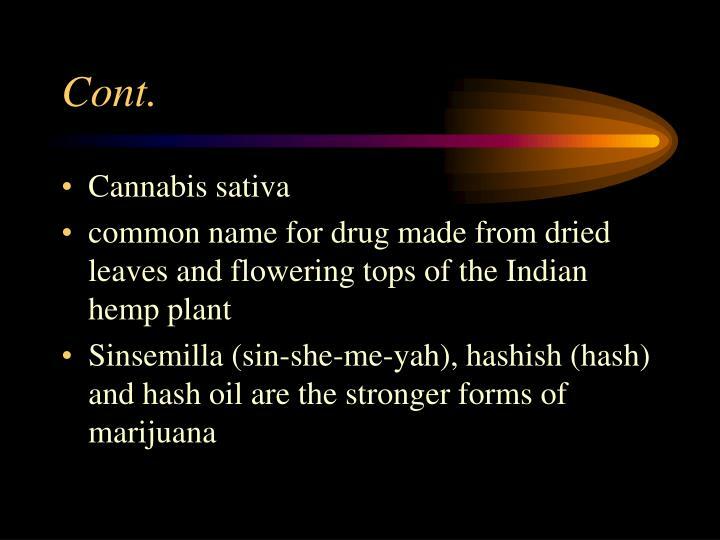 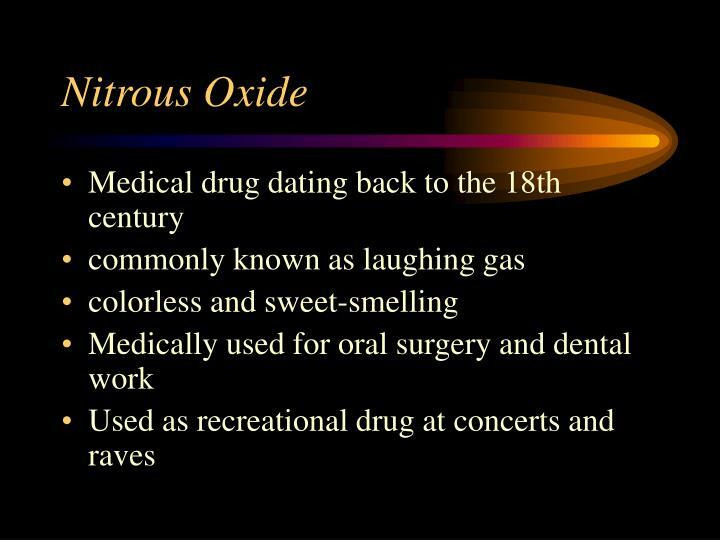 Used as medicine and intoxicant as early as 3000 B.C. 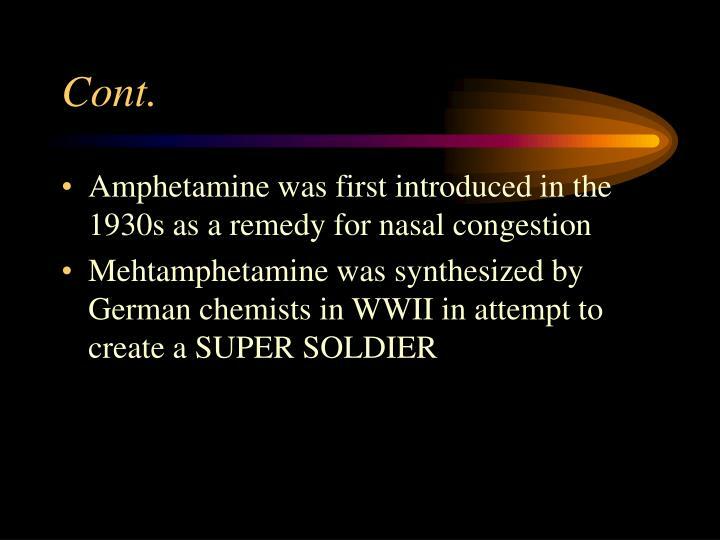 The 1920s and 1930s saw a decline in use, especially after amphetamines became easily available. 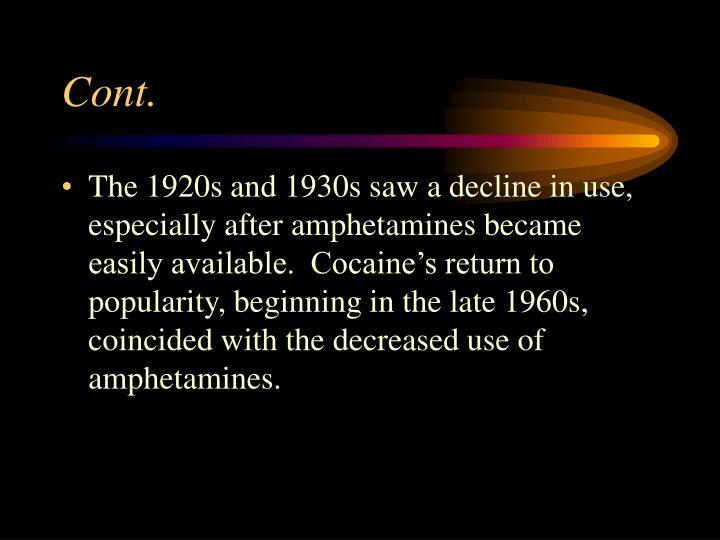 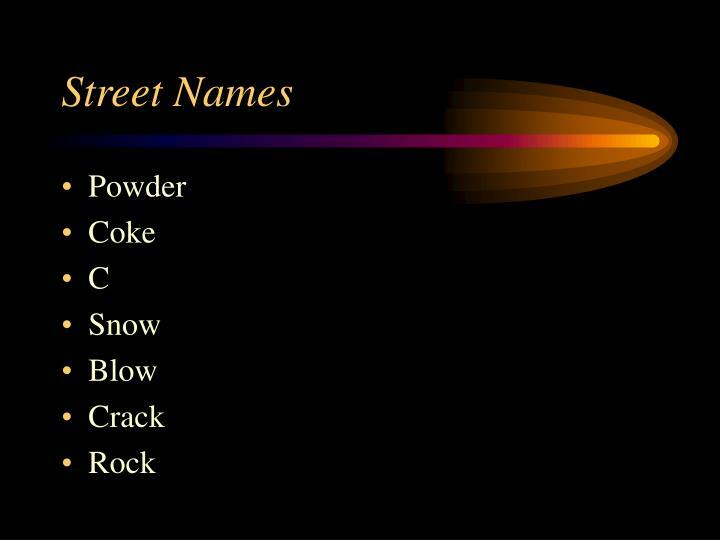 Cocaine’s return to popularity, beginning in the late 1960s, coincided with the decreased use of amphetamines. 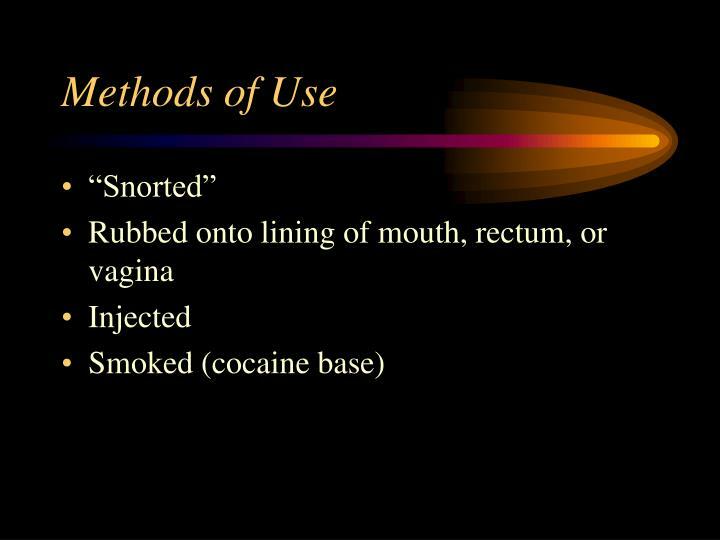 In rare instances, sudden death can occur on the first use of cocaine or unexpectedly thereafter. 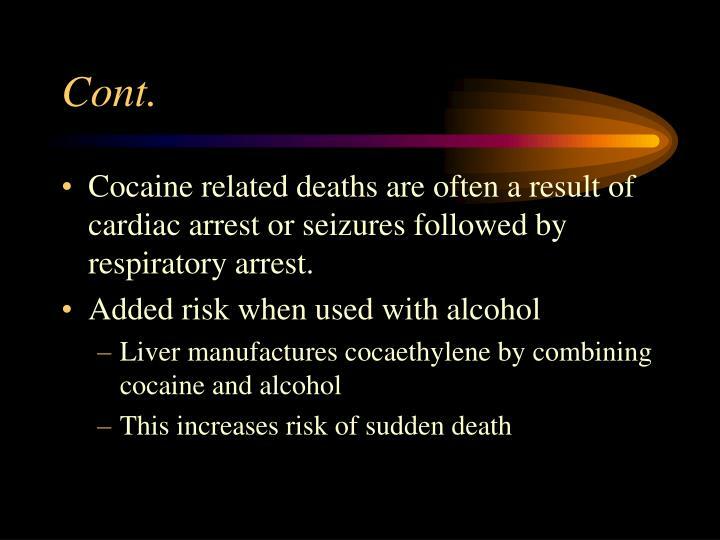 Cocaine related deaths are often a result of cardiac arrest or seizures followed by respiratory arrest. 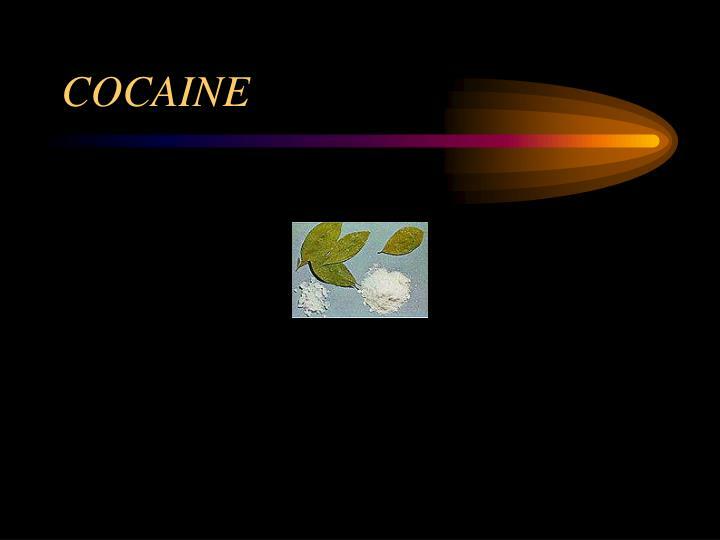 The proportion of seniors who have used cocaine at least once has increased from 5.9 percent in 1994 to 9.8 percent in 1999. 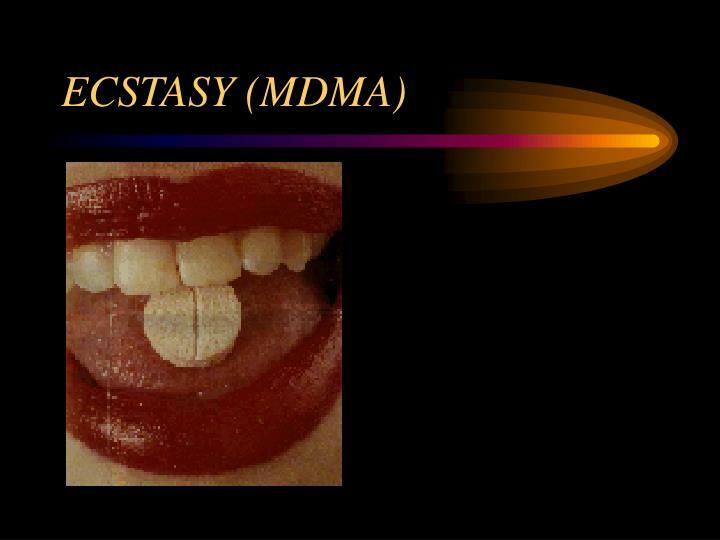 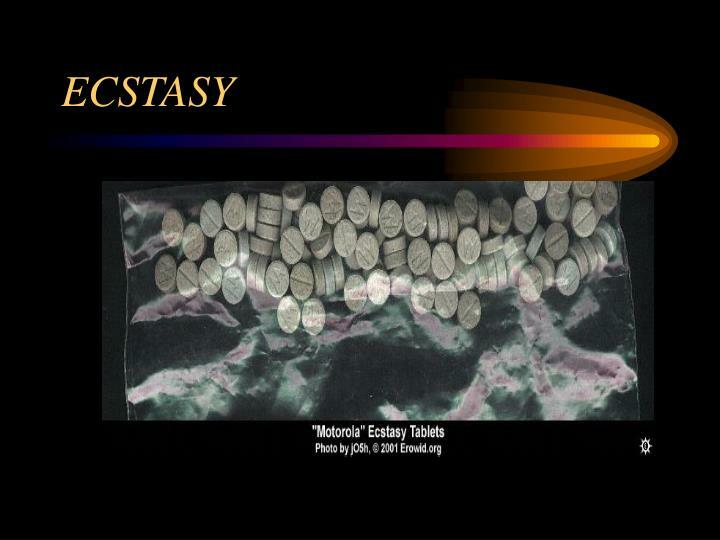 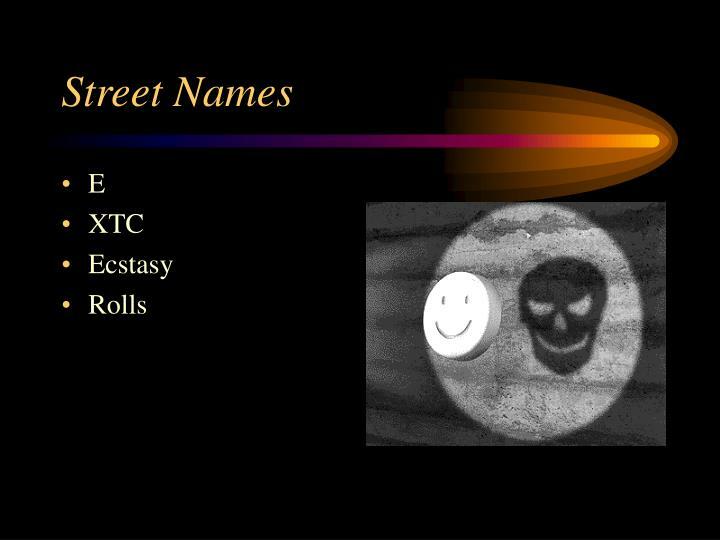 MDMA is a synthetic, psychoactive drug with both stimulant and hallucinogen properties. 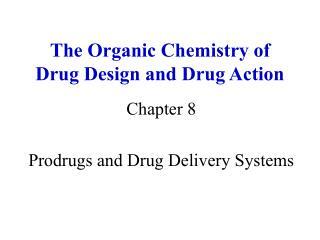 Contents vary widely and may include caffeine, dextromethorphan, heroin and mescaline. 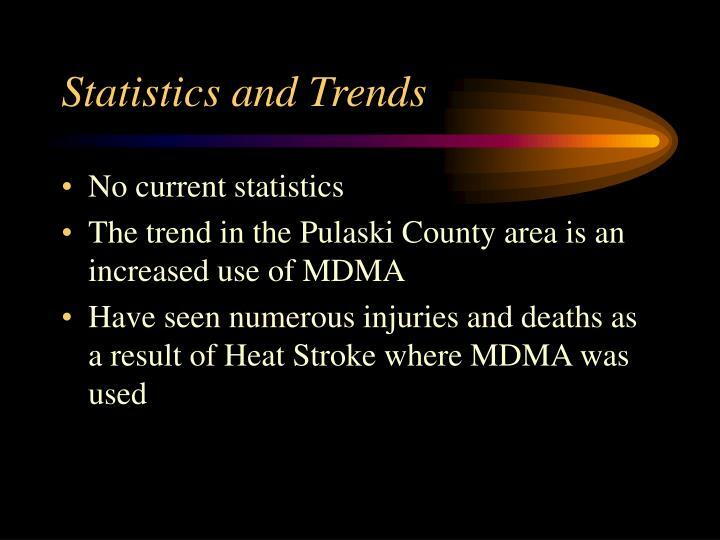 In some areas of the country, MDMA-like substances were involved in the death of subjects who thought they were taking MDMA. 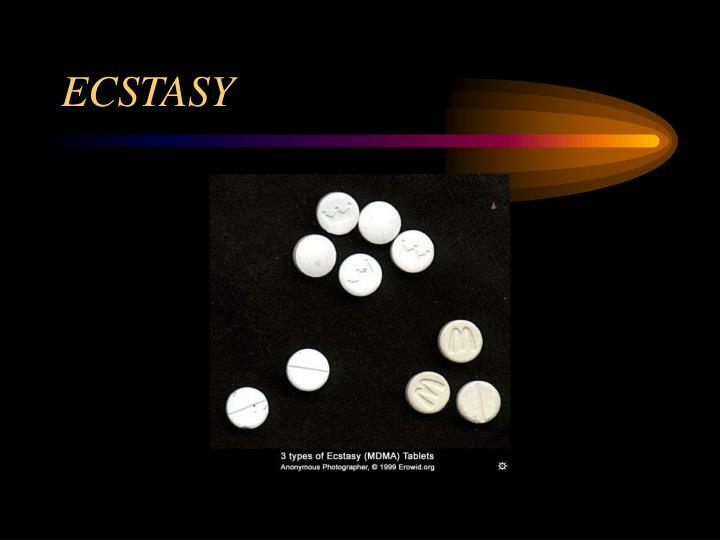 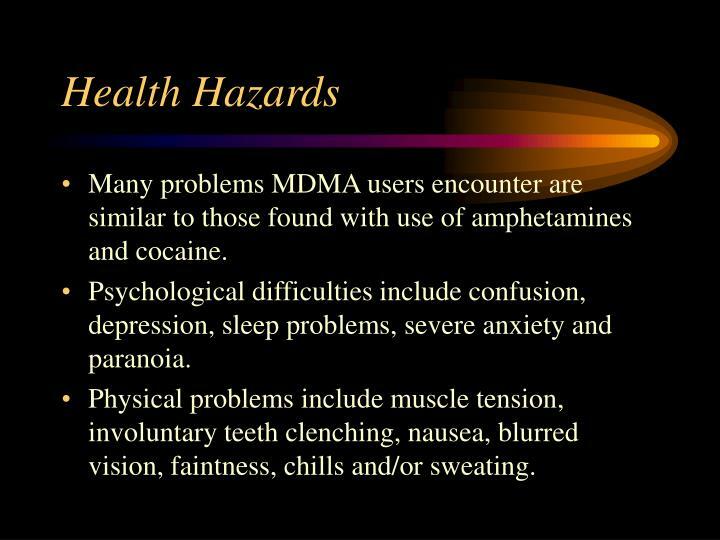 Many problems MDMA users encounter are similar to those found with use of amphetamines and cocaine. 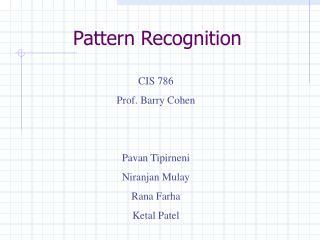 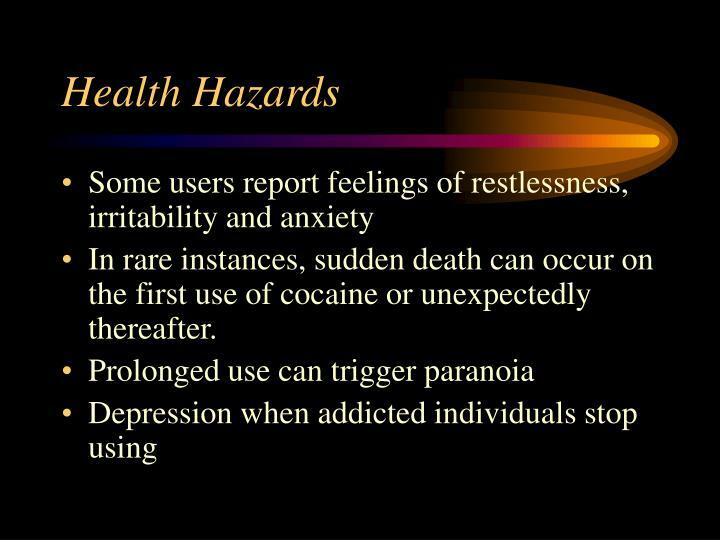 Psychological difficulties include confusion, depression, sleep problems, severe anxiety and paranoia. Physical problems include muscle tension, involuntary teeth clenching, nausea, blurred vision, faintness, chills and/or sweating. Recent research also links MDMA use to long term damage to those parts of the brain crucial to the processes of thought, memory and pleasure. 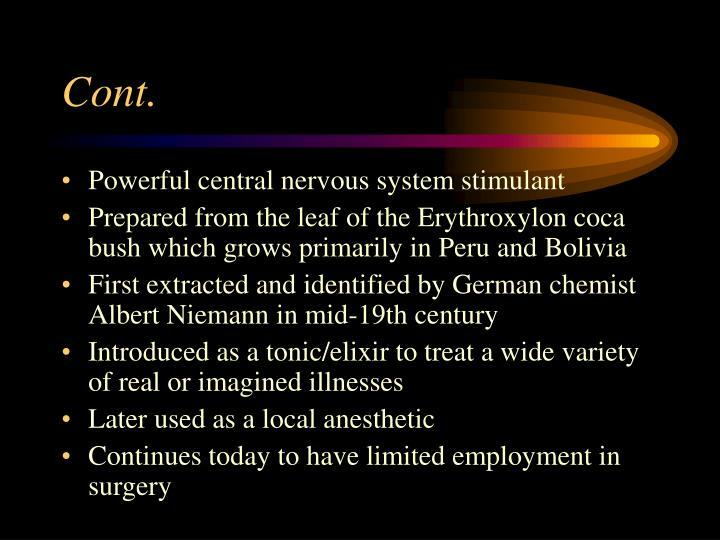 Ketamine is an anesthetic that has been approved for both human and animal use in medical settings since 1970. 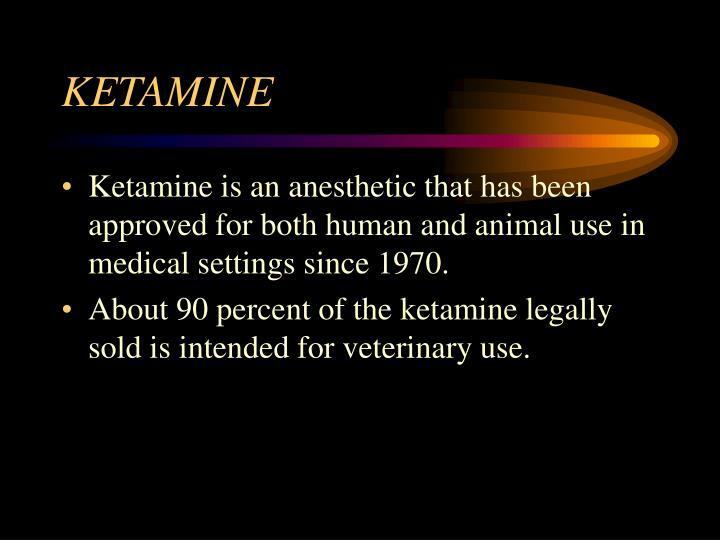 About 90 percent of the ketamine legally sold is intended for veterinary use. 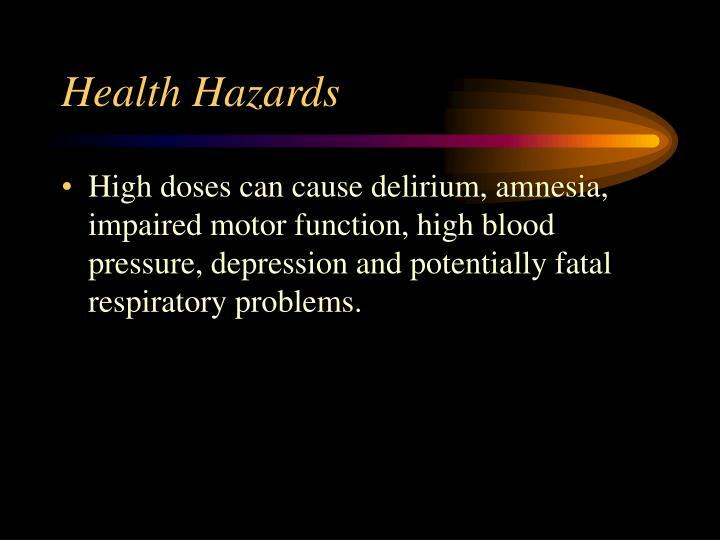 High doses can cause delirium, amnesia, impaired motor function, high blood pressure, depression and potentially fatal respiratory problems. 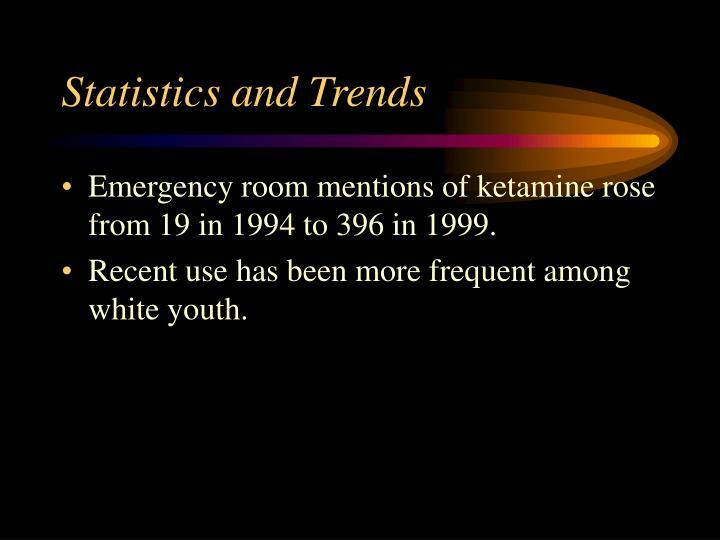 Emergency room mentions of ketamine rose from 19 in 1994 to 396 in 1999. 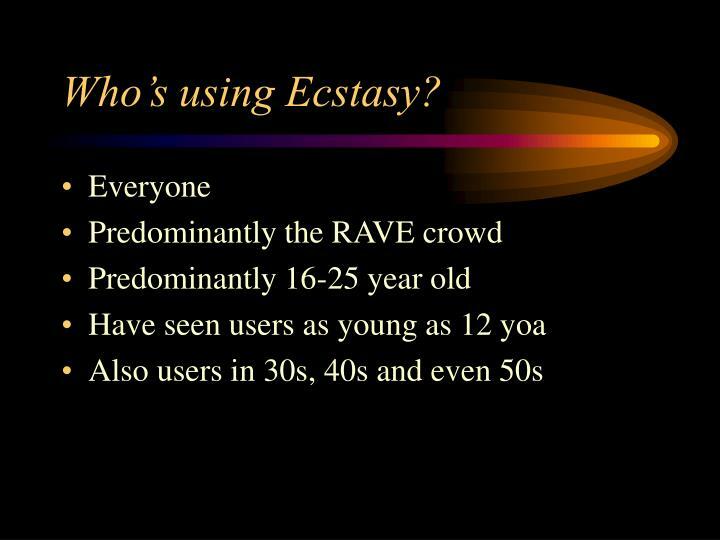 Recent use has been more frequent among white youth. 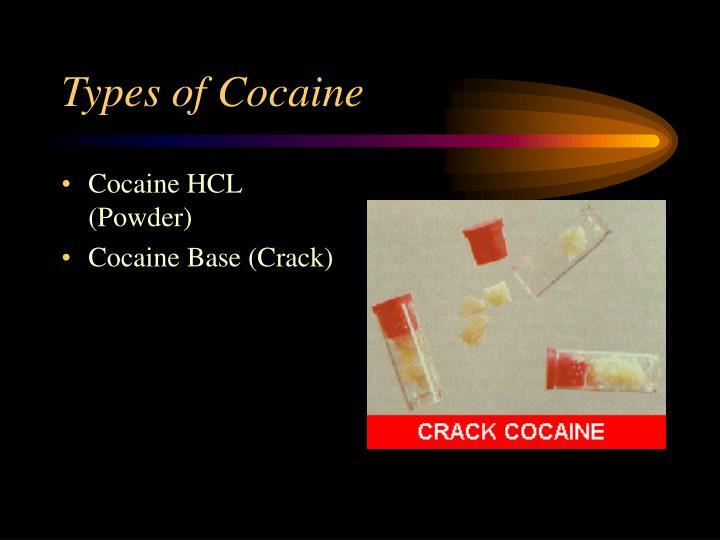 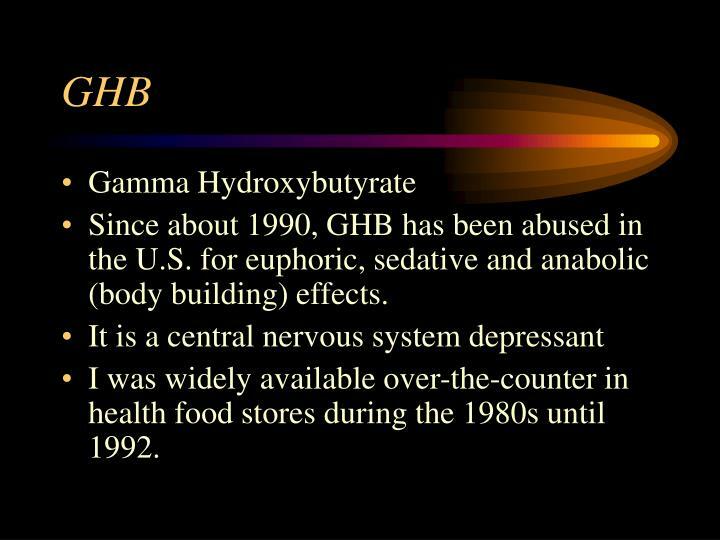 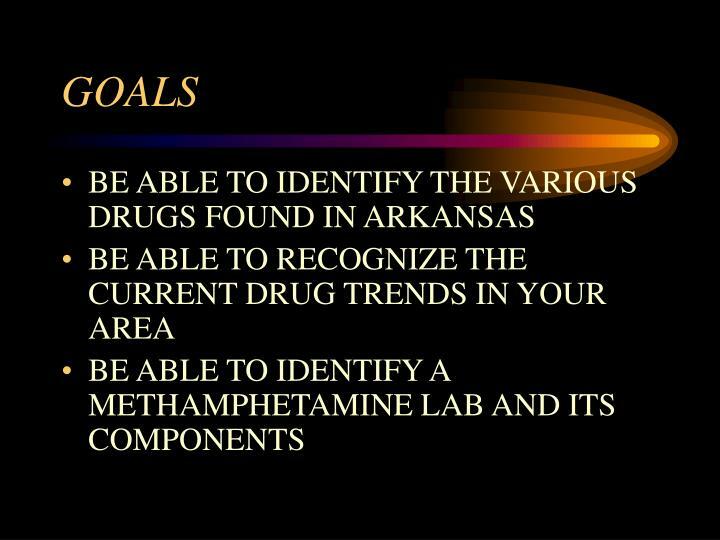 Since about 1990, GHB has been abused in the U.S. for euphoric, sedative and anabolic (body building) effects. I was widely available over-the-counter in health food stores during the 1980s until 1992. 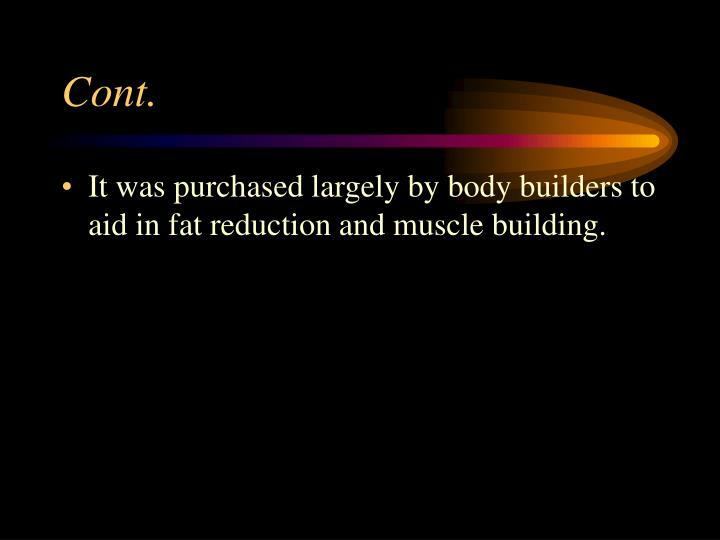 It was purchased largely by body builders to aid in fat reduction and muscle building. 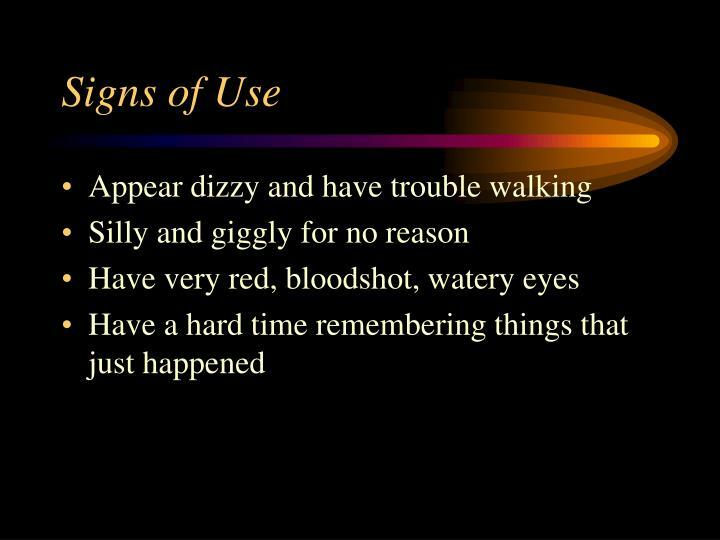 Signs and effects are same as subject who is very intoxicated on alcohol. 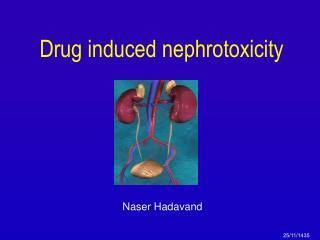 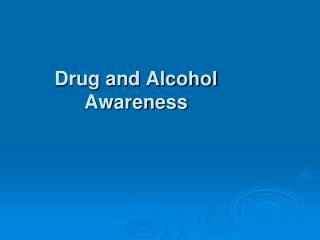 Combined use with other drugs such as alcohol can result in nausea and difficulty breathing. 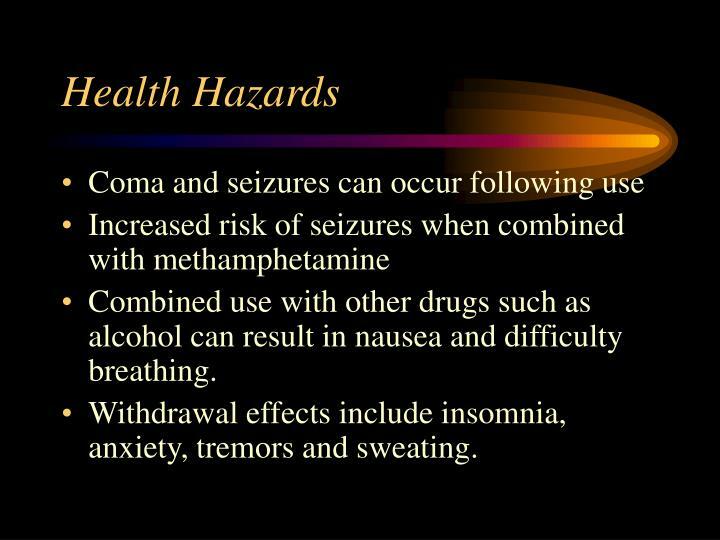 Withdrawal effects include insomnia, anxiety, tremors and sweating. It is very easy to overdose on GHB. 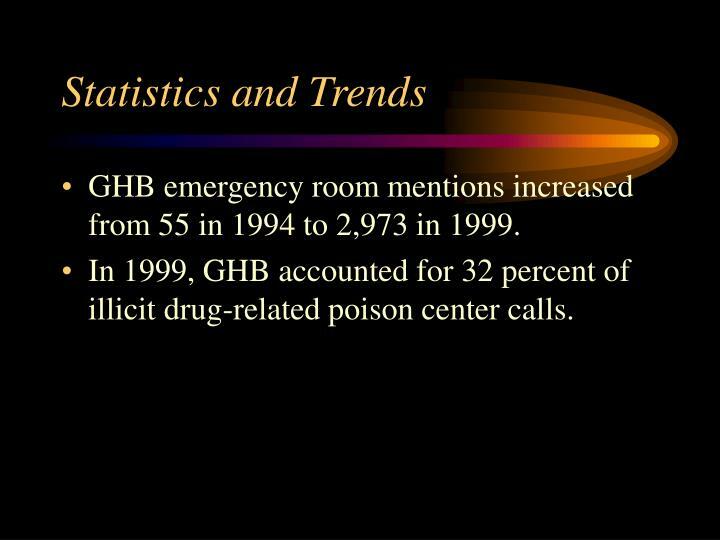 GHB emergency room mentions increased from 55 in 1994 to 2,973 in 1999. 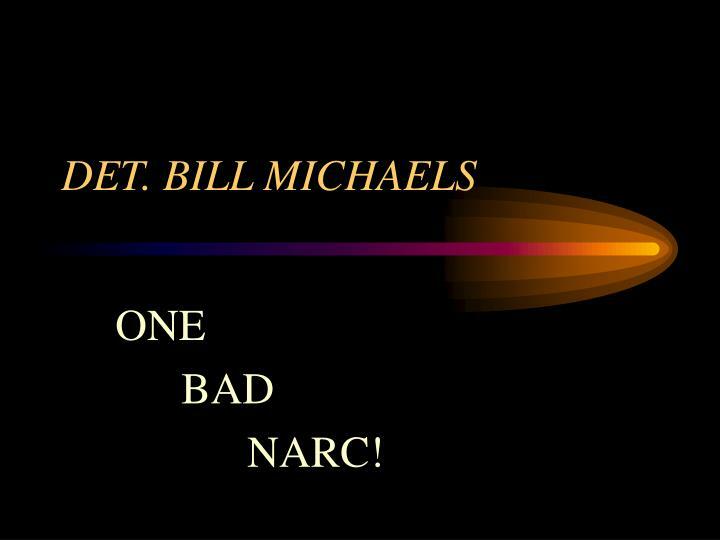 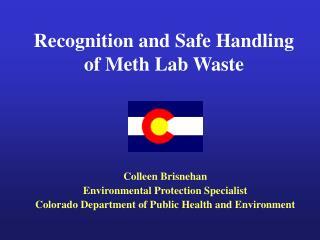 In 1999, GHB accounted for 32 percent of illicit drug-related poison center calls. 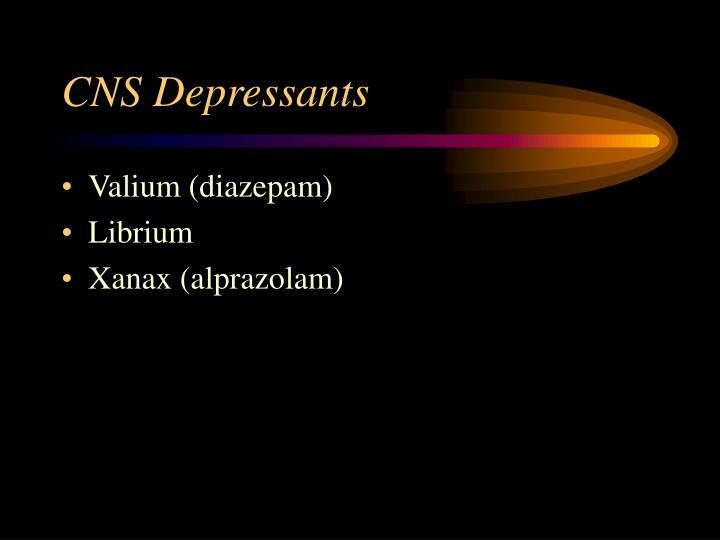 Belongs to a class of drugs known as benzodiazepines. 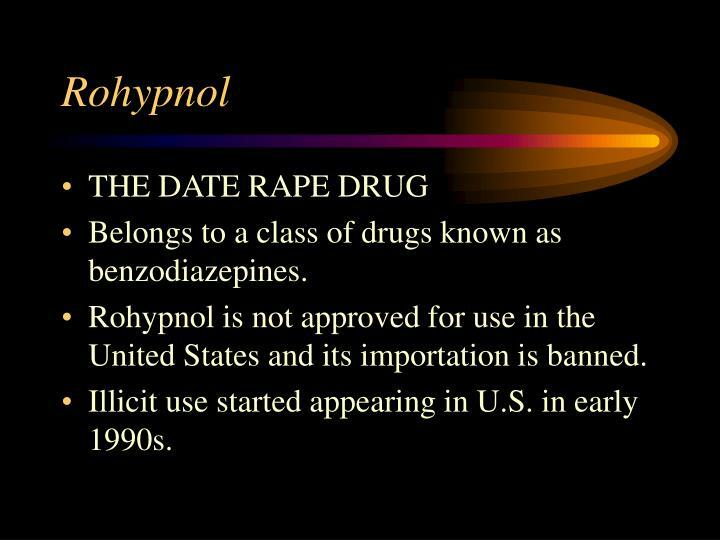 Rohypnol is not approved for use in the United States and its importation is banned. 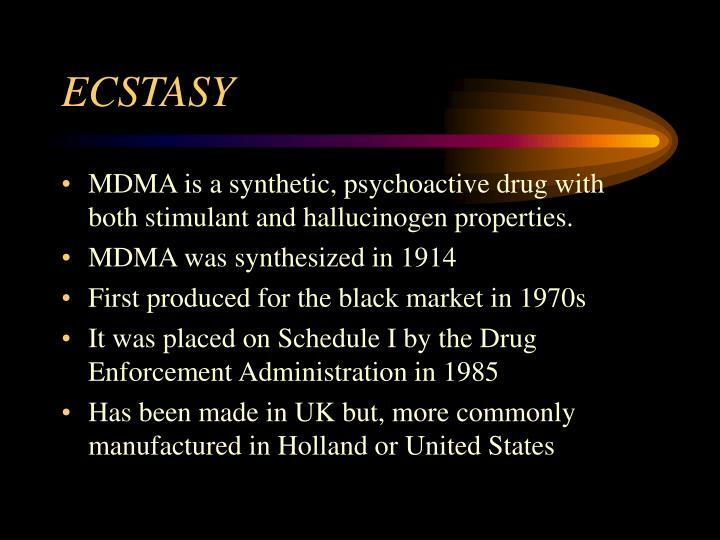 Illicit use started appearing in U.S. in early 1990s. 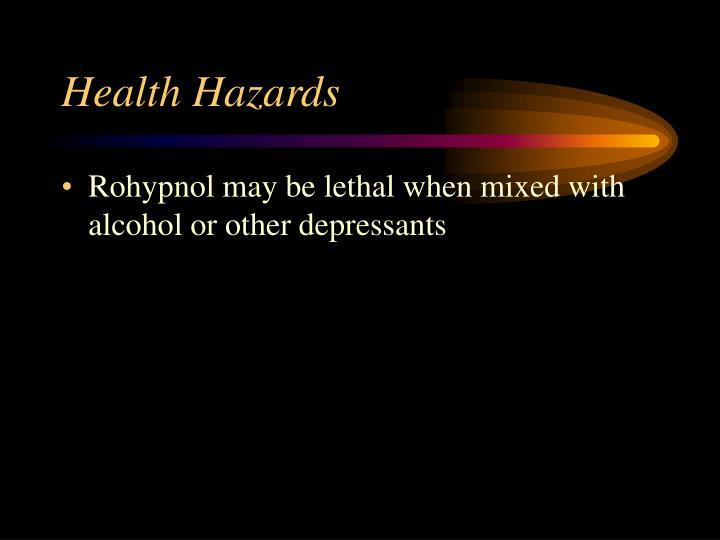 Rohypnol can incapacitate victims and prevent them from resisting sexual advances. 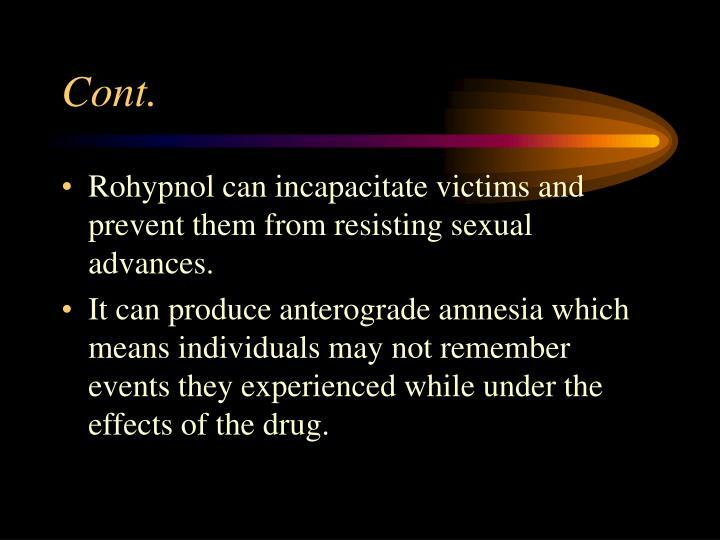 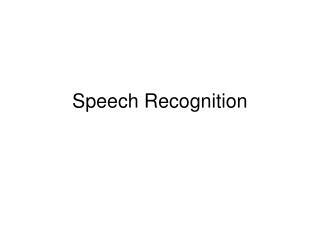 It can produce anterograde amnesia which means individuals may not remember events they experienced while under the effects of the drug. 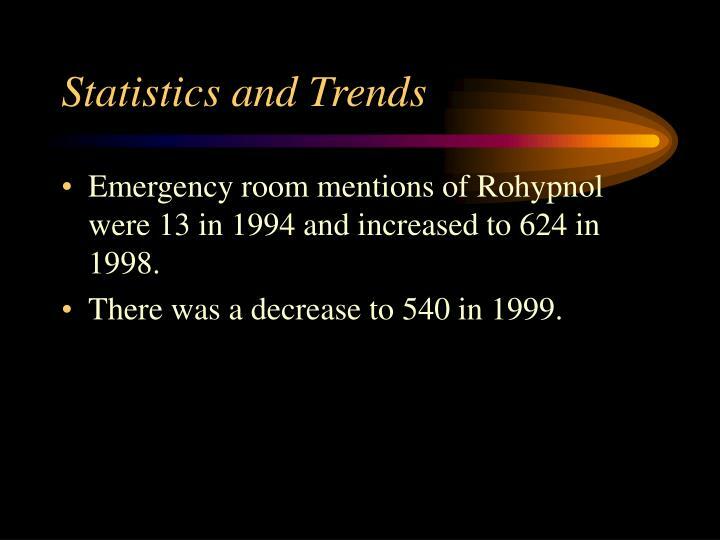 Emergency room mentions of Rohypnol were 13 in 1994 and increased to 624 in 1998. 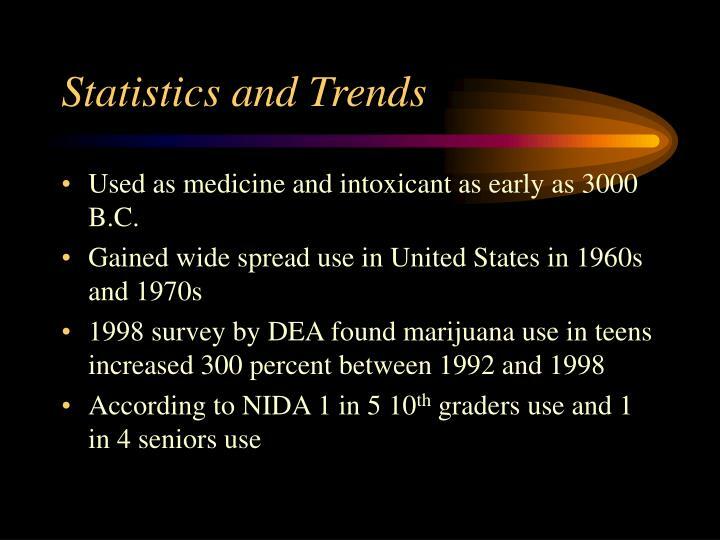 There was a decrease to 540 in 1999. 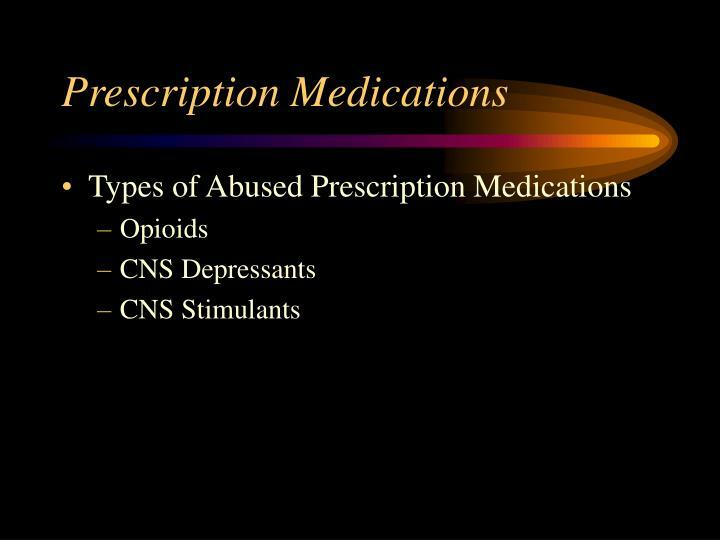 Are prescribed because of their effective analgesic or pain relieving properties. 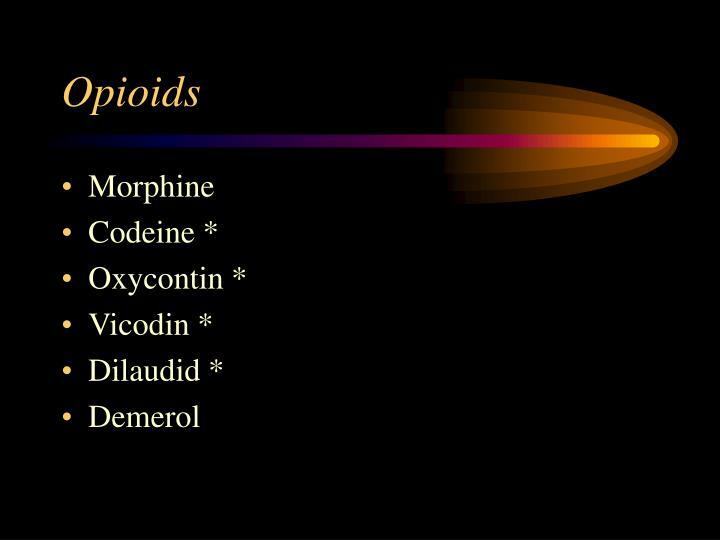 Opioids act by attaching to opioid receptors found in the brain, spinal cord and gastrointestinal tract. 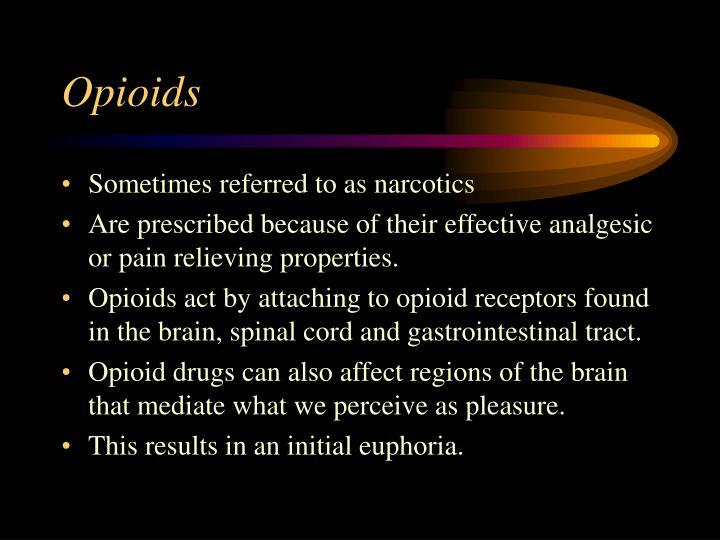 Opioid drugs can also affect regions of the brain that mediate what we perceive as pleasure. 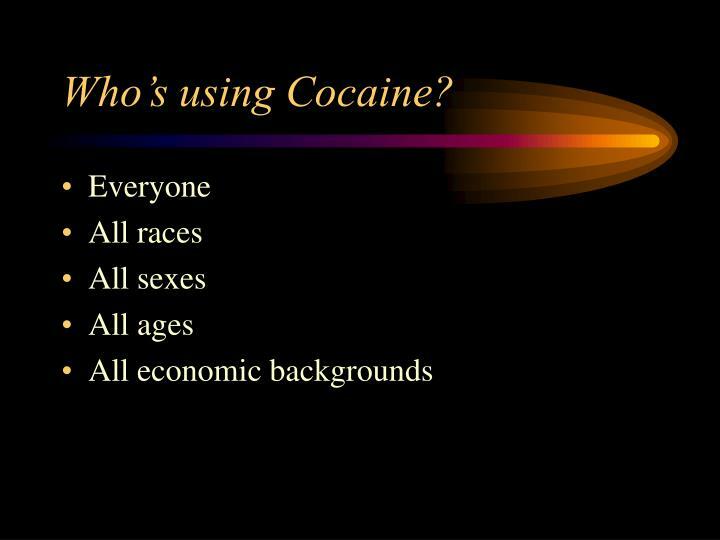 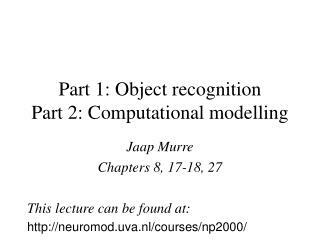 This results in an initial euphoria. 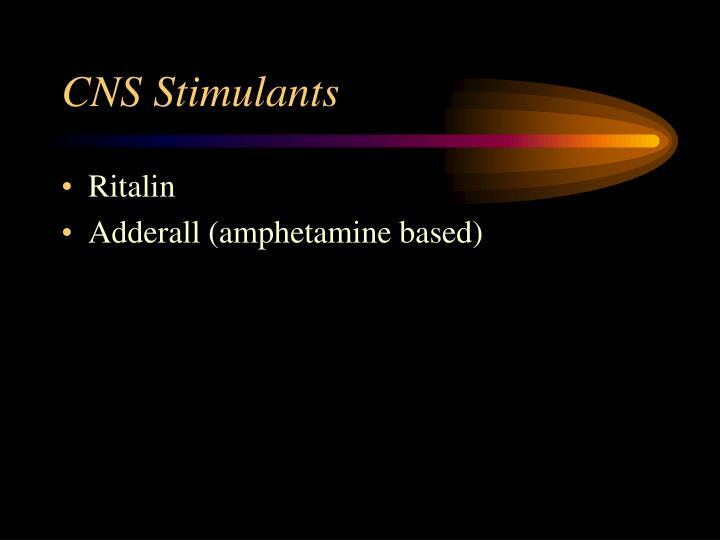 Slow down normal brain functions. 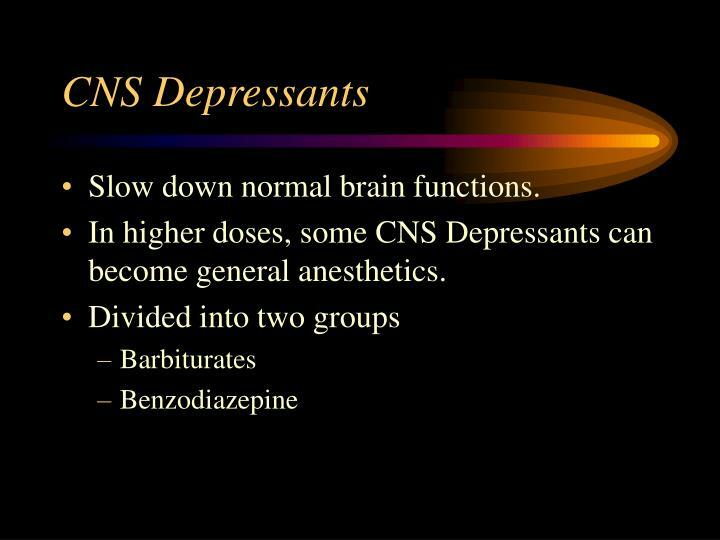 In higher doses, some CNS Depressants can become general anesthetics. 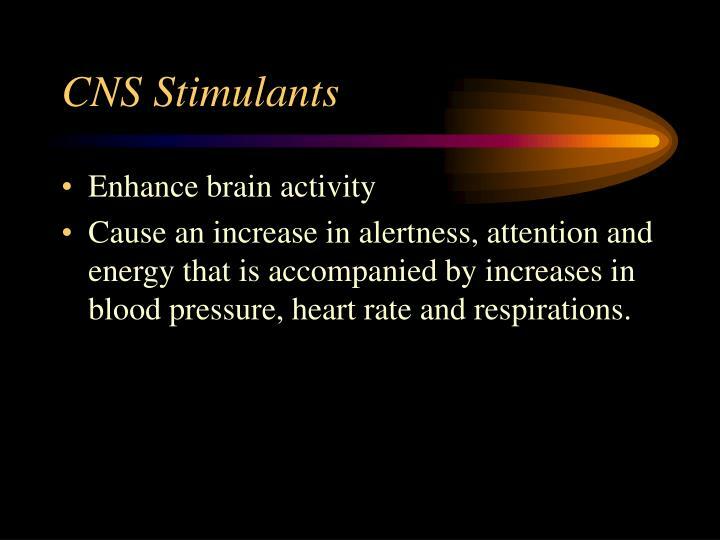 Cause an increase in alertness, attention and energy that is accompanied by increases in blood pressure, heart rate and respirations. 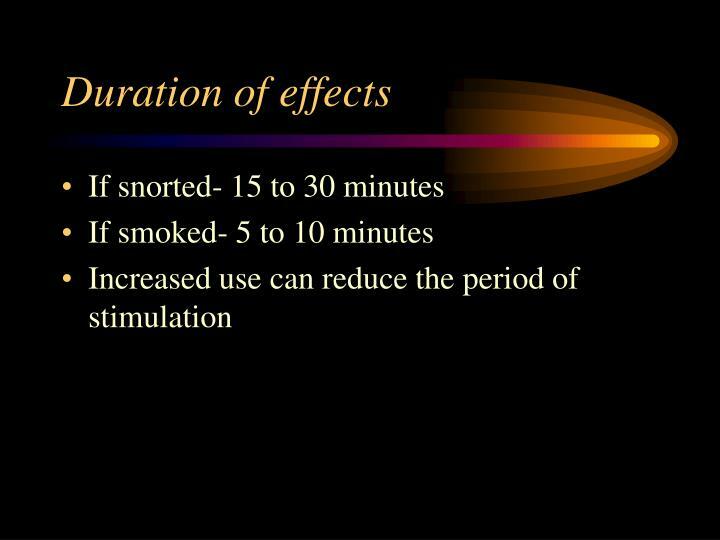 Effects last approximately 30 to 90 minutes. 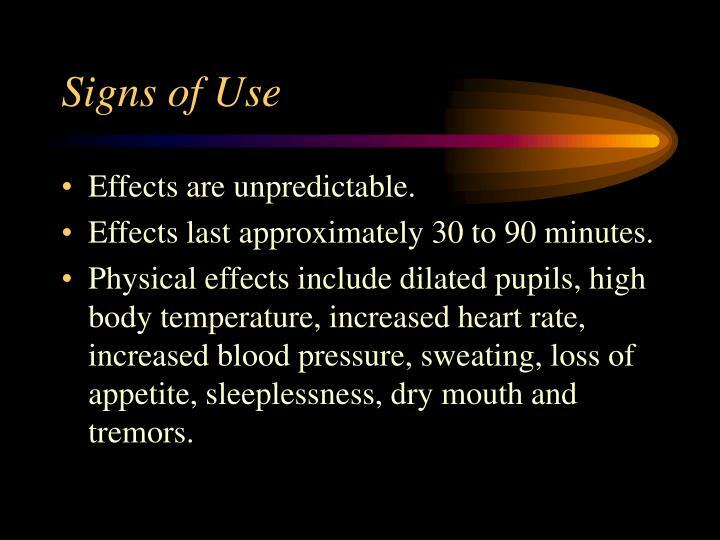 Physical effects include dilated pupils, high body temperature, increased heart rate, increased blood pressure, sweating, loss of appetite, sleeplessness, dry mouth and tremors. 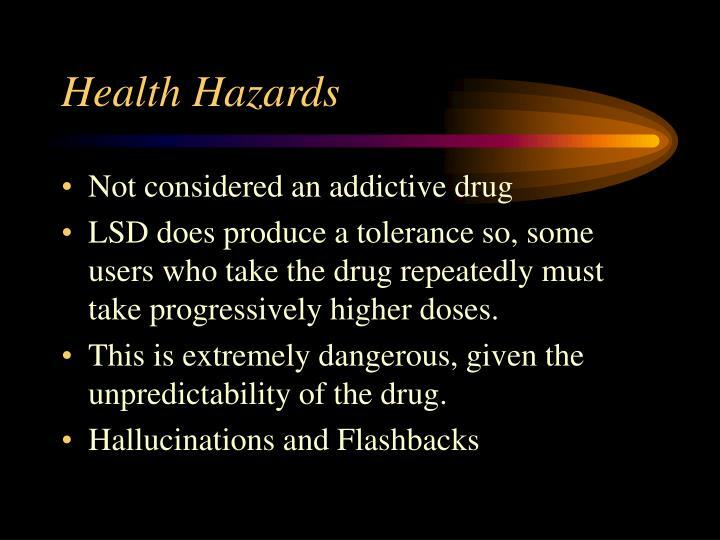 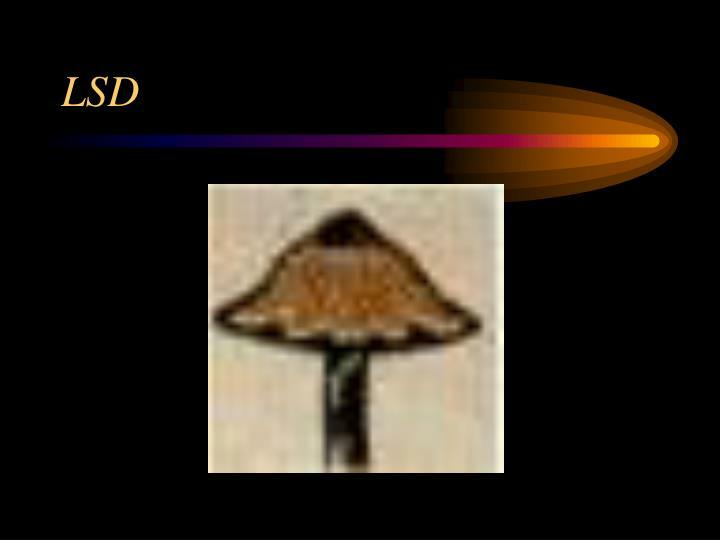 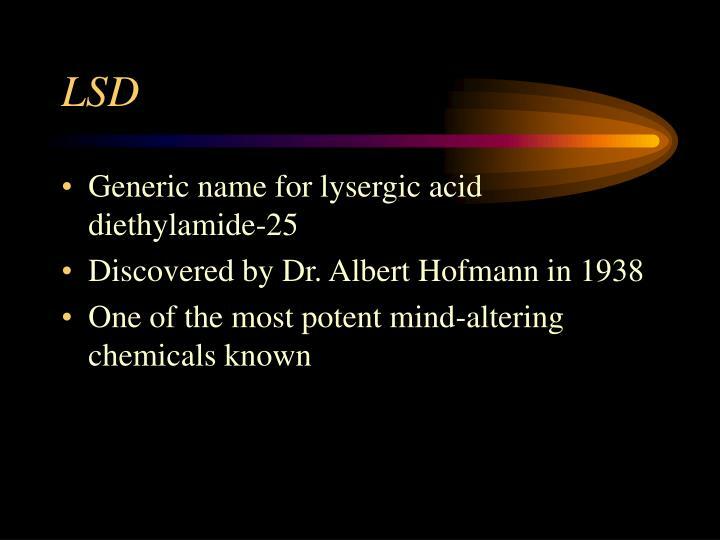 LSD does produce a tolerance so, some users who take the drug repeatedly must take progressively higher doses. This is extremely dangerous, given the unpredictability of the drug. 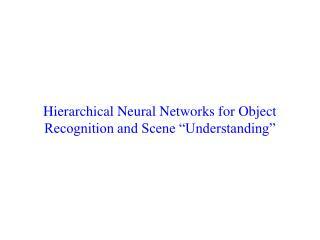 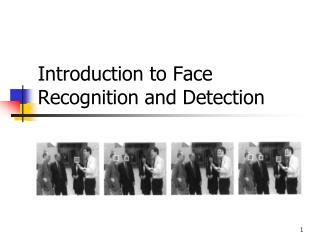 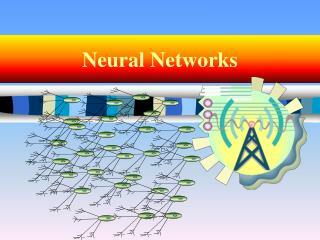 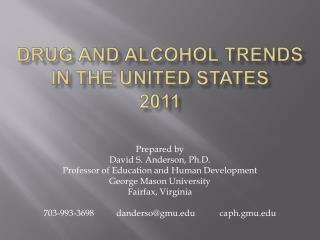 There has been a study conducted annually by researchers since 1975 (Monitoring the Future Study). 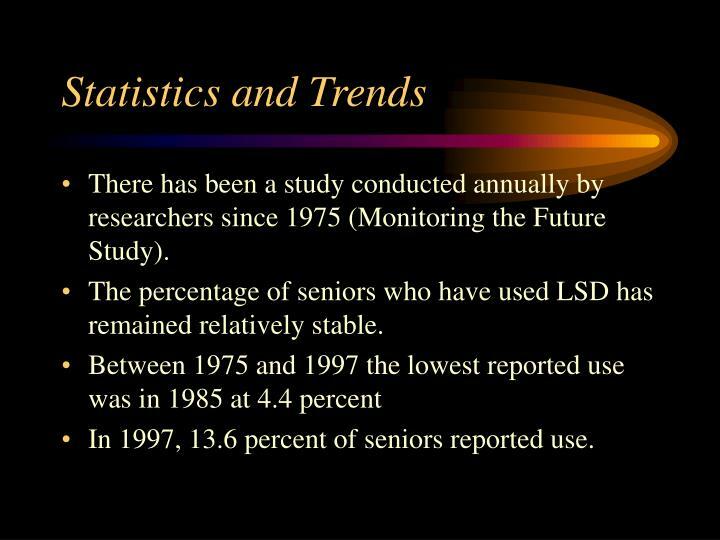 The percentage of seniors who have used LSD has remained relatively stable. 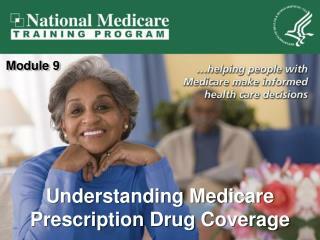 In 1997, 13.6 percent of seniors reported use. 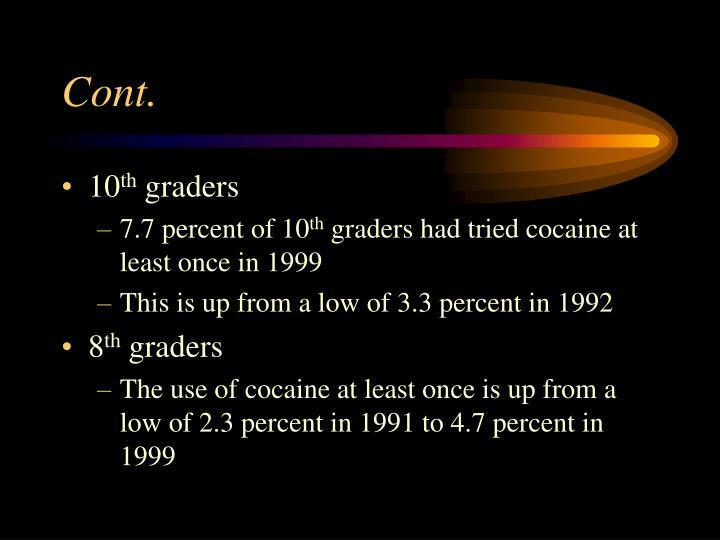 In 1997, 9.5 percent of 10th graders reported use at least once. 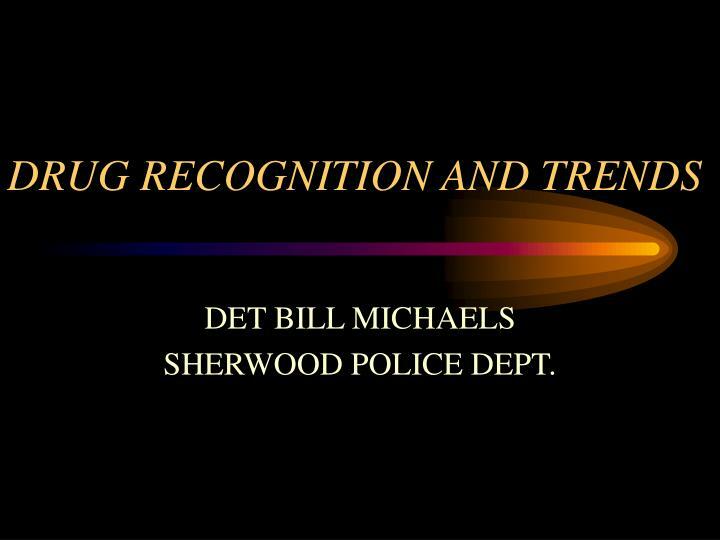 4.7 percent of 8th graders reported use at least once. Also in 1997, 51 percent of seniors said it would have been fairly easy or very easy for them to get LSD if they wanted it. 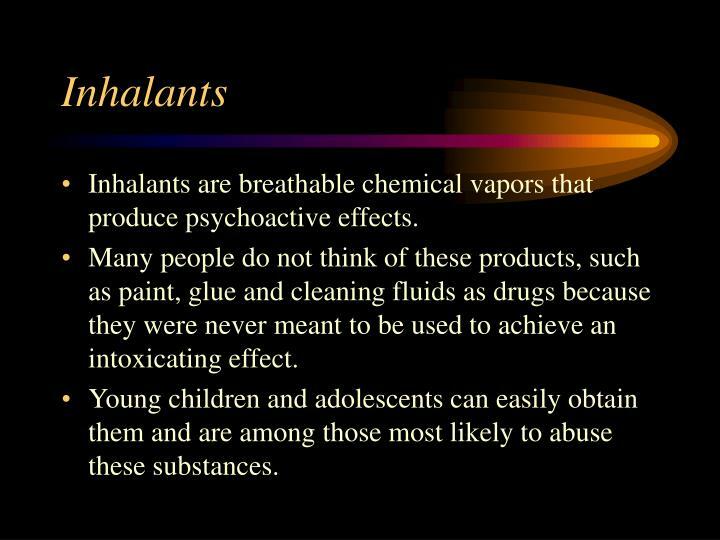 Inhalants are breathable chemical vapors that produce psychoactive effects. 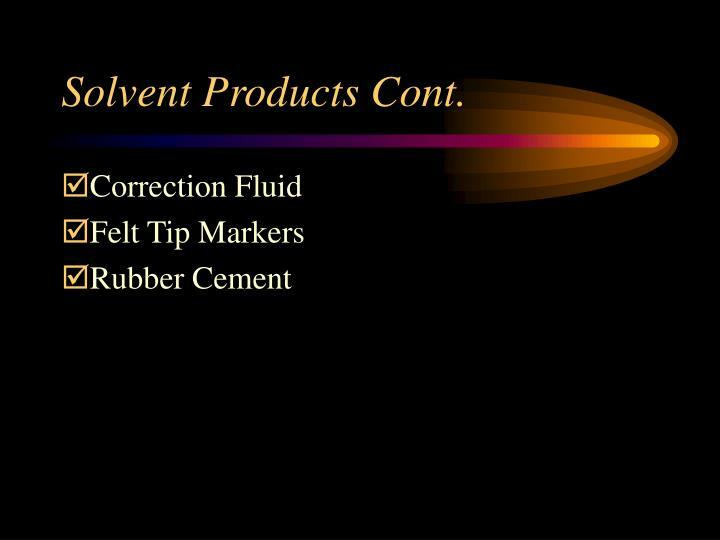 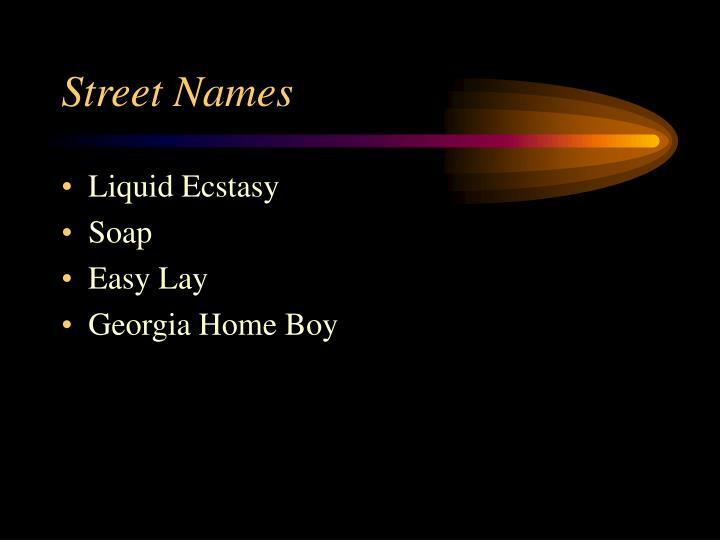 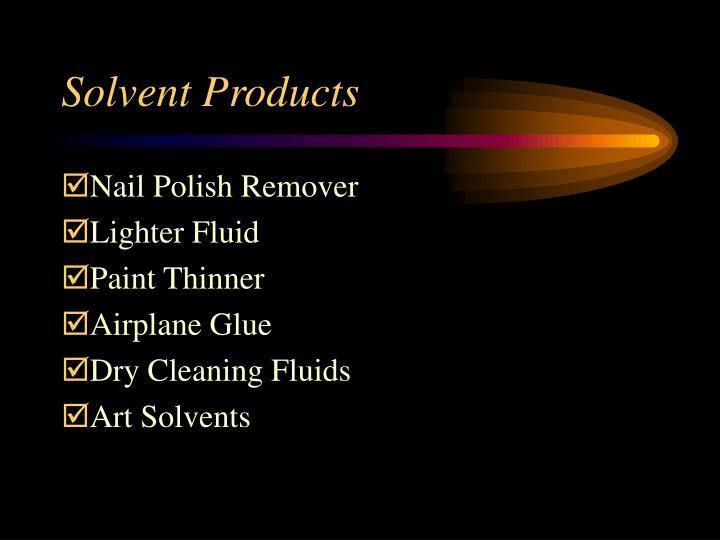 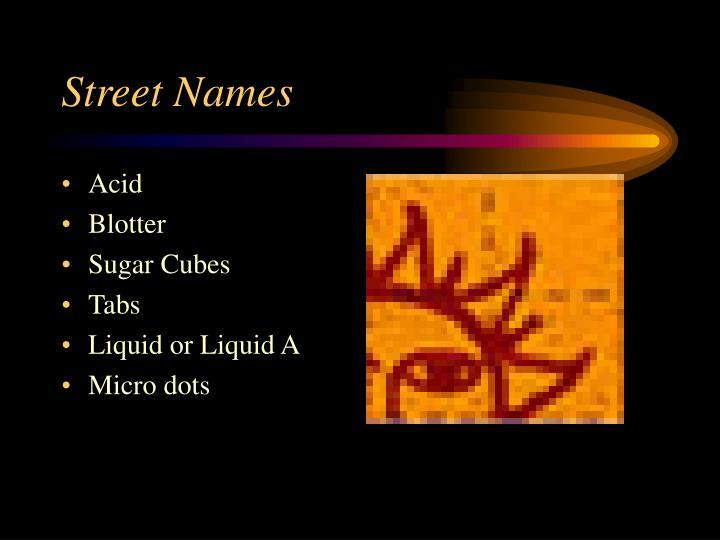 Many people do not think of these products, such as paint, glue and cleaning fluids as drugs because they were never meant to be used to achieve an intoxicating effect. 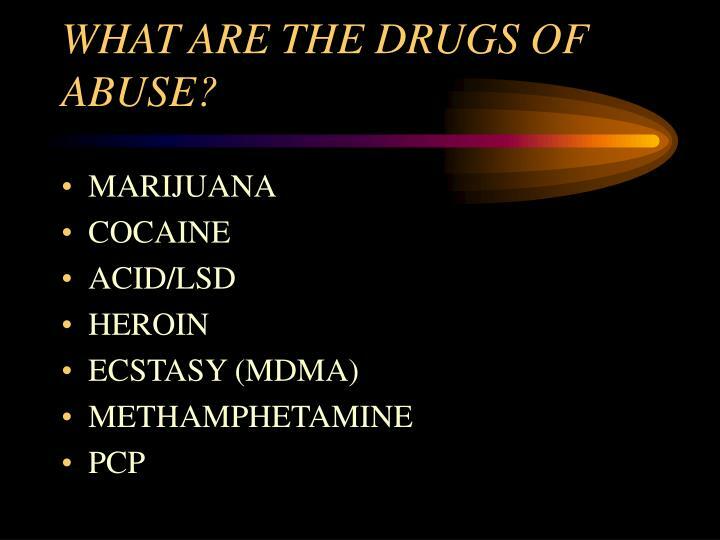 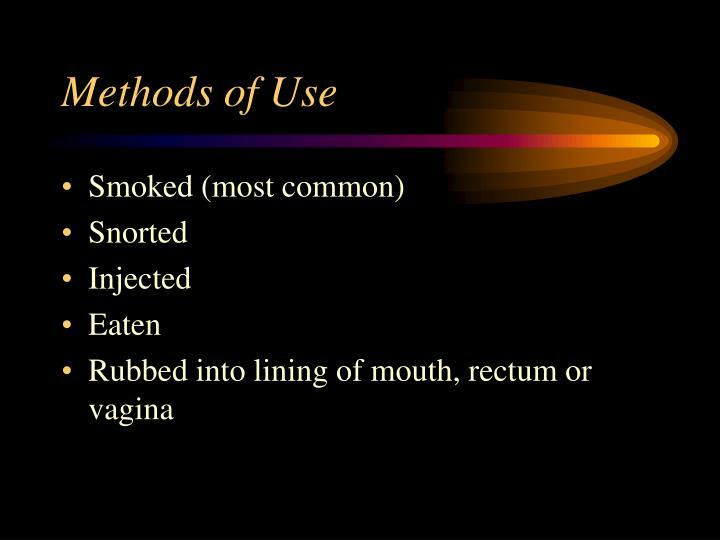 Young children and adolescents can easily obtain them and are among those most likely to abuse these substances. 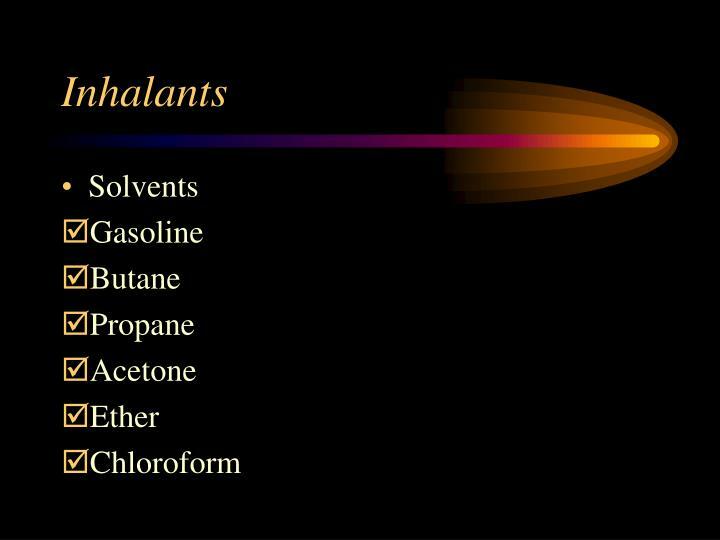 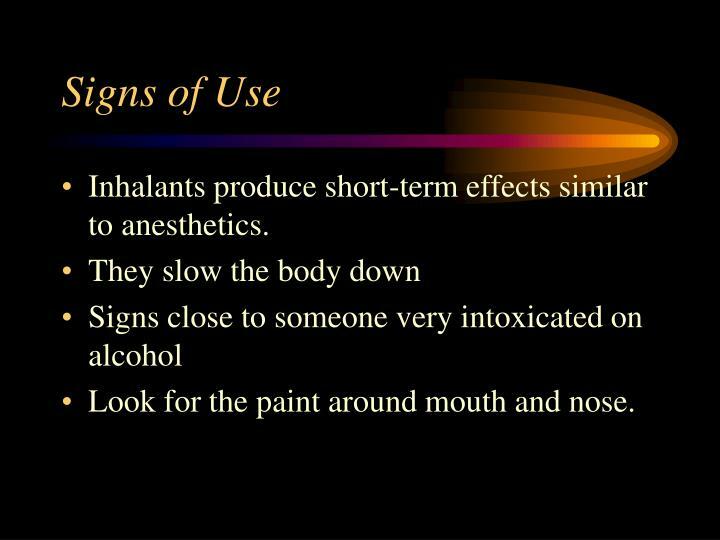 Inhalants produce short-term effects similar to anesthetics. 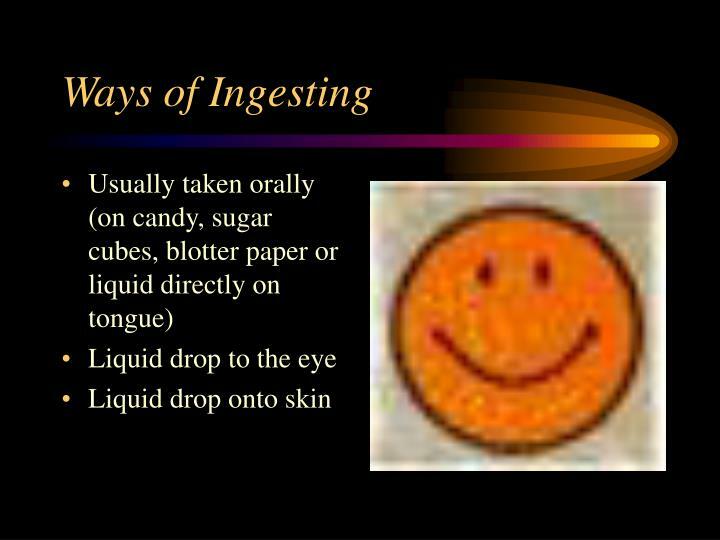 Look for the paint around mouth and nose. 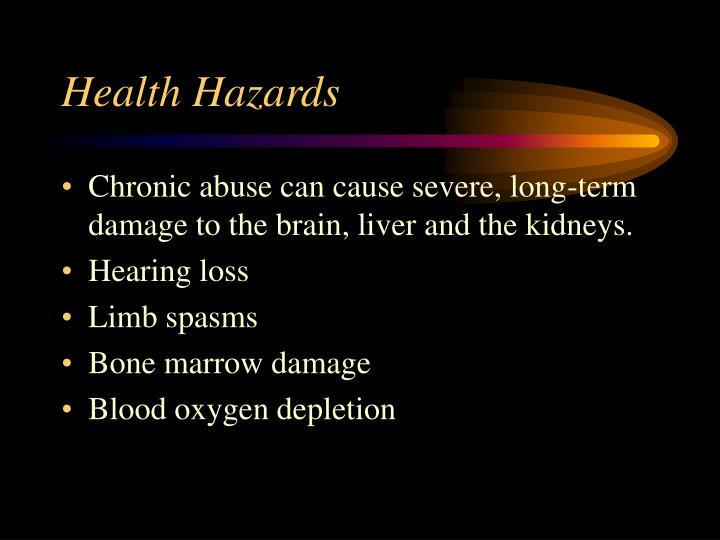 Chronic abuse can cause severe, long-term damage to the brain, liver and the kidneys. 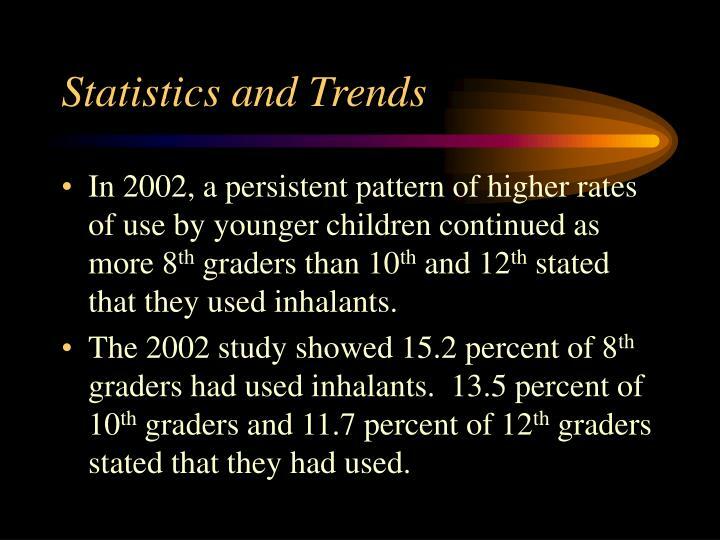 In 2002, a persistent pattern of higher rates of use by younger children continued as more 8th graders than 10th and 12th stated that they used inhalants. 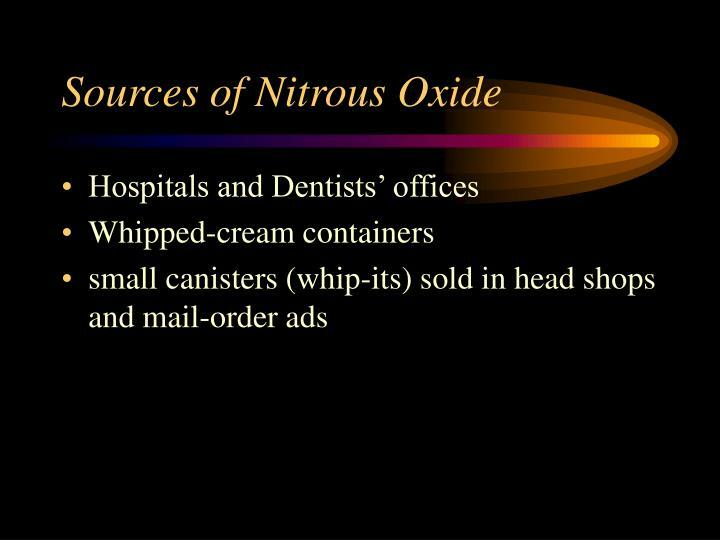 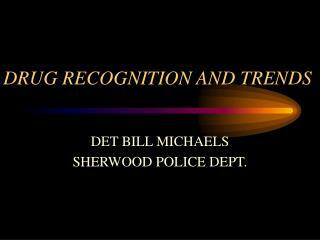 The 2002 study showed 15.2 percent of 8th graders had used inhalants. 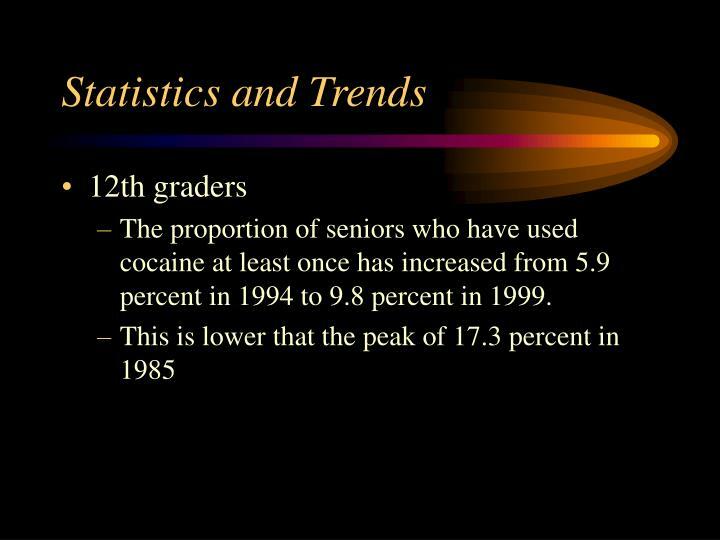 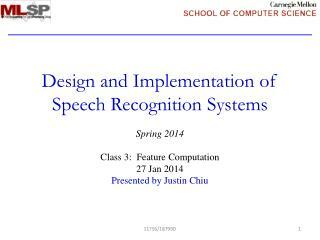 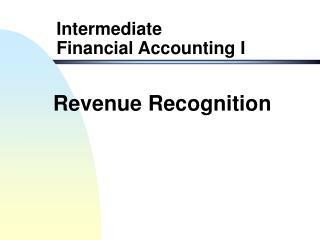 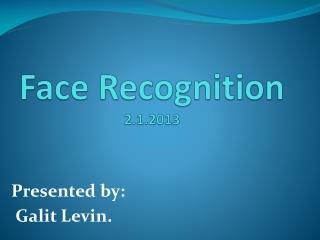 13.5 percent of 10th graders and 11.7 percent of 12th graders stated that they had used. 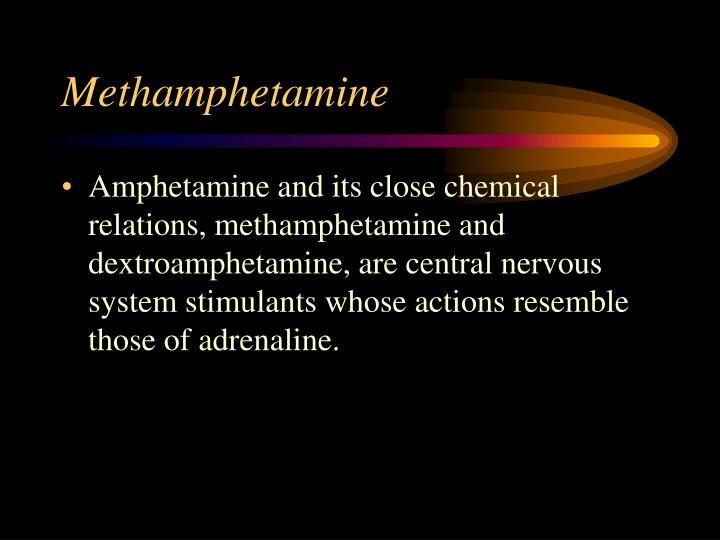 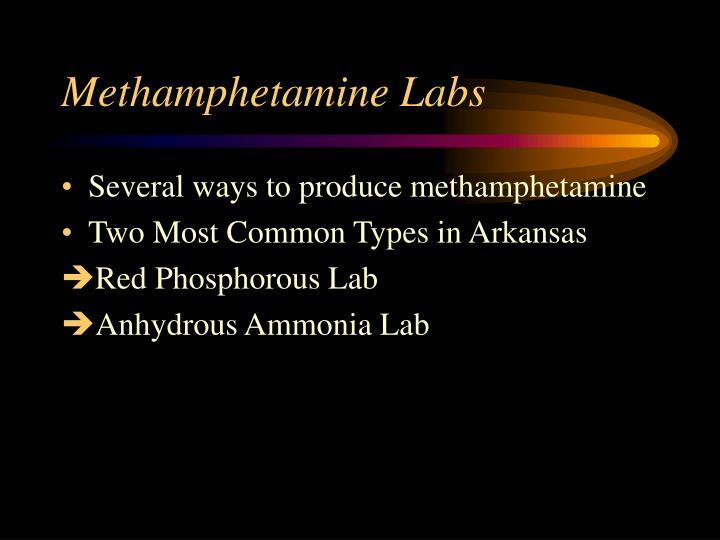 Amphetamine and its close chemical relations, methamphetamine and dextroamphetamine, are central nervous system stimulants whose actions resemble those of adrenaline. 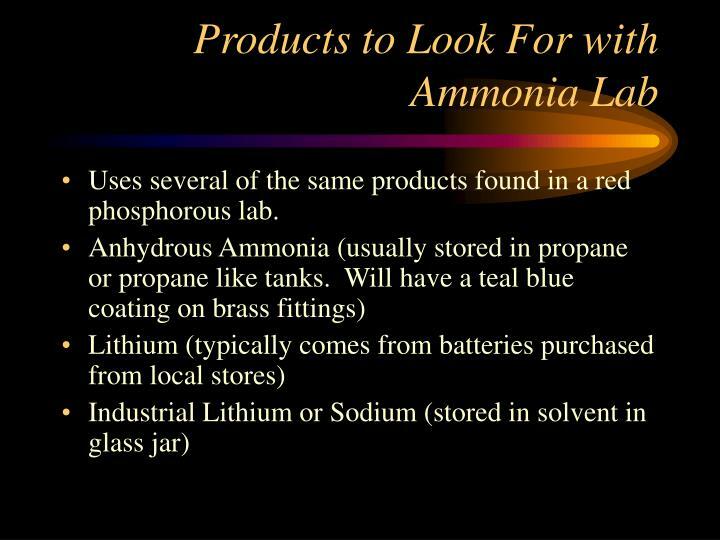 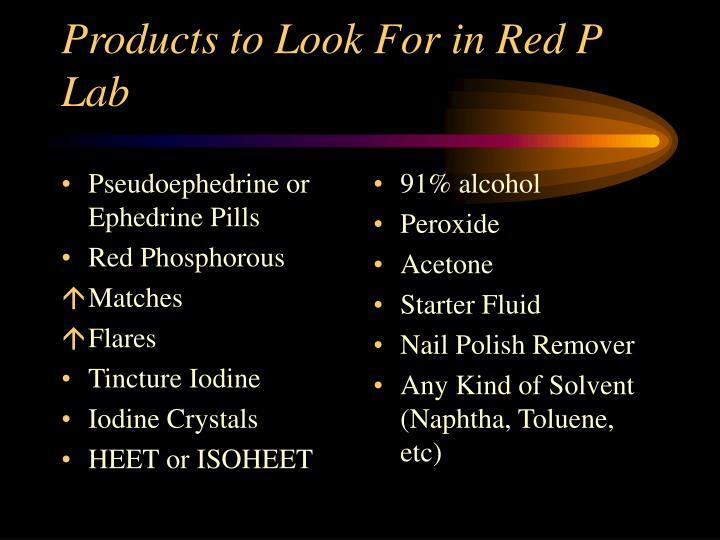 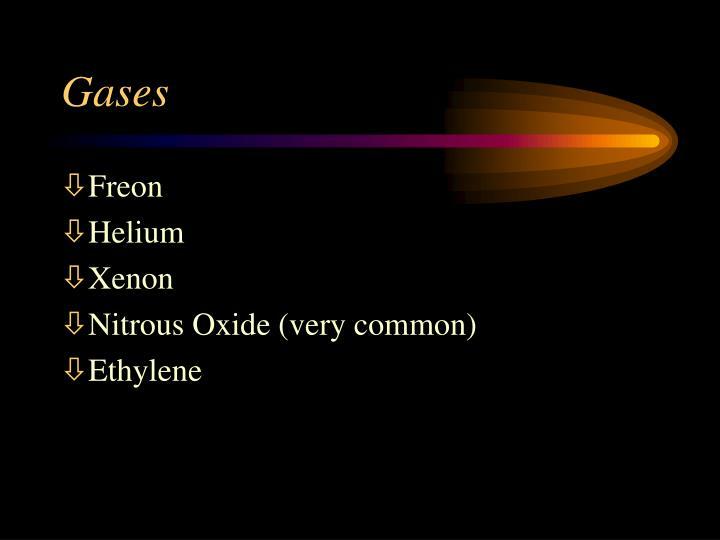 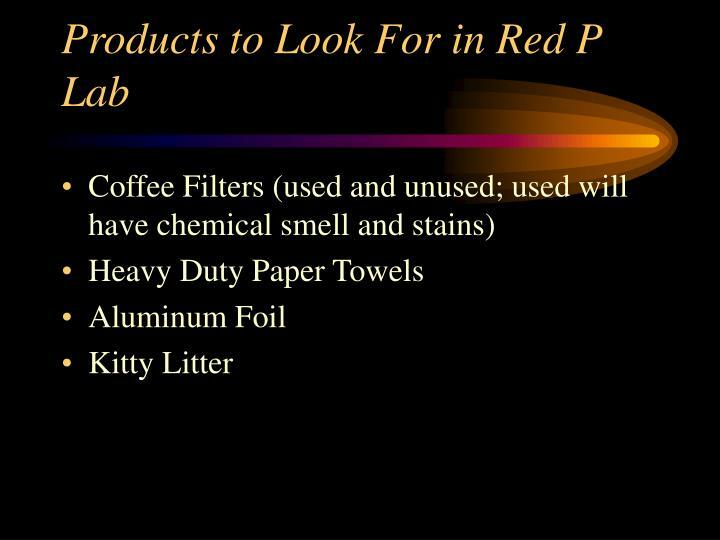 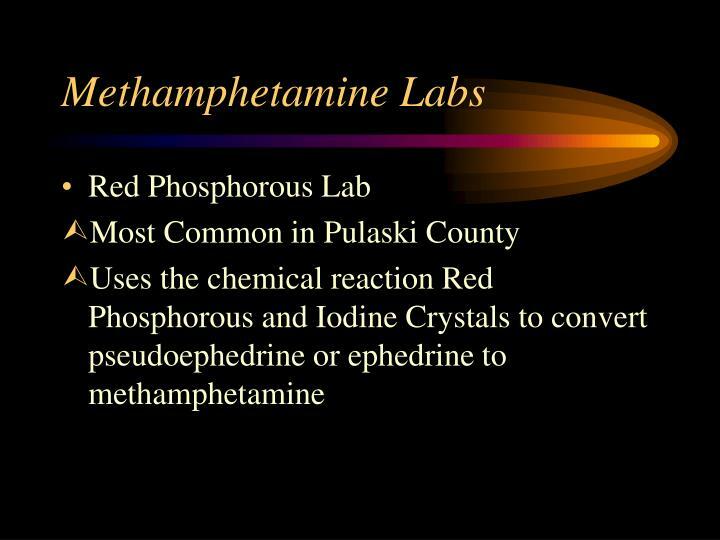 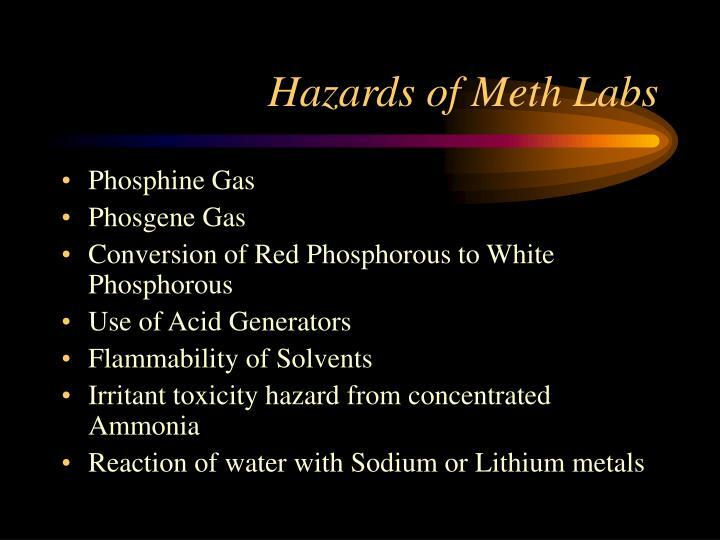 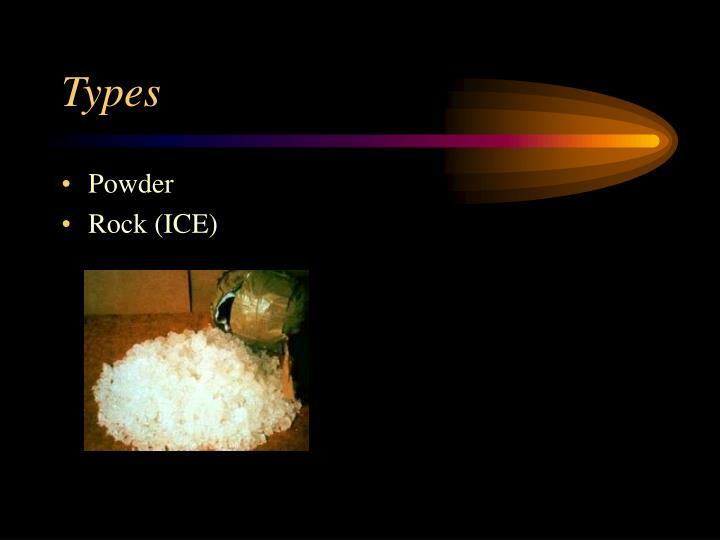 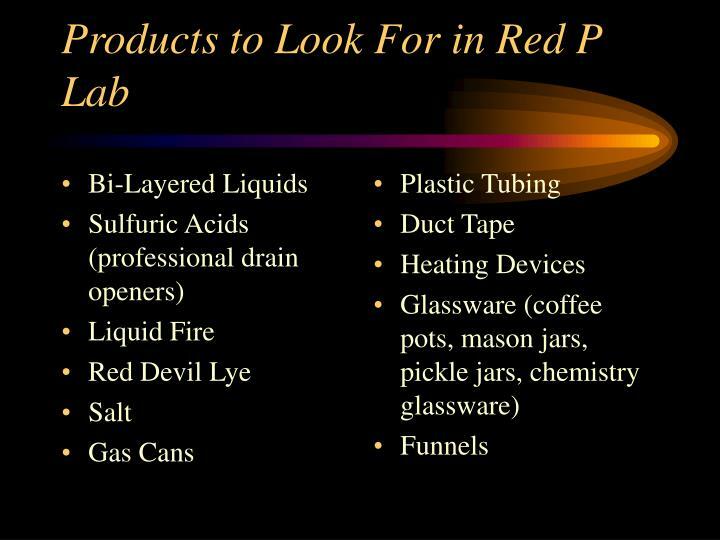 Uses several of the same products found in a red phosphorous lab. 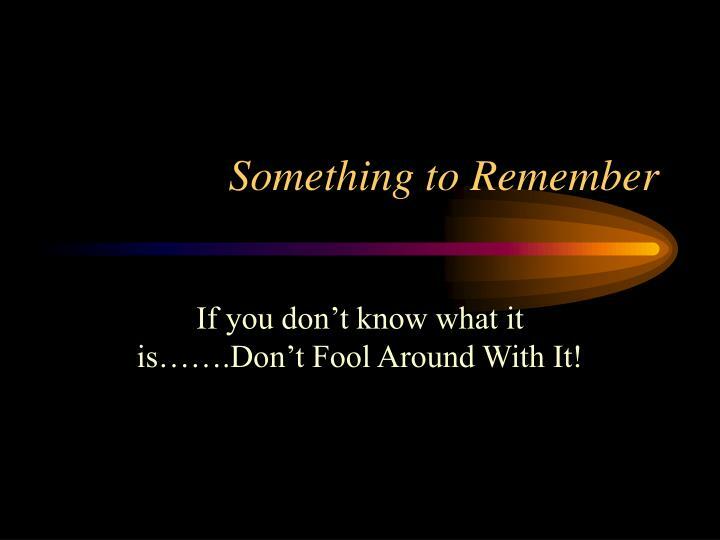 If you don’t know what it is…….Don’t Fool Around With It! 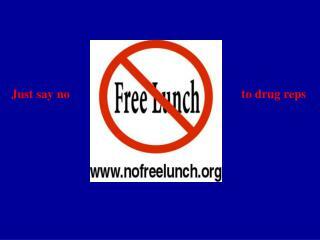 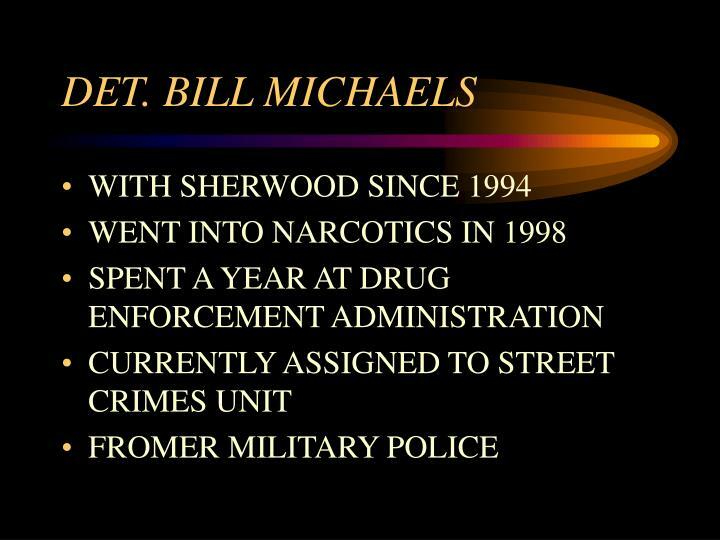 Just say no to drug reps -. 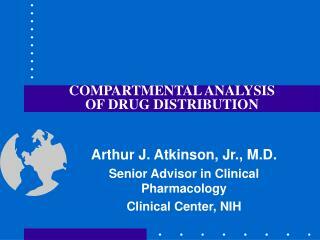 the physician-pharmaceutical industry relationship. 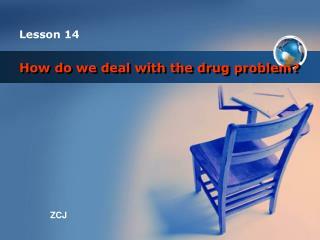 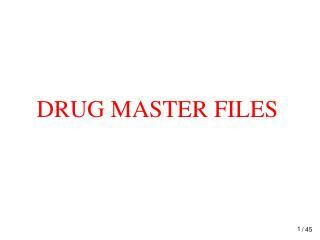 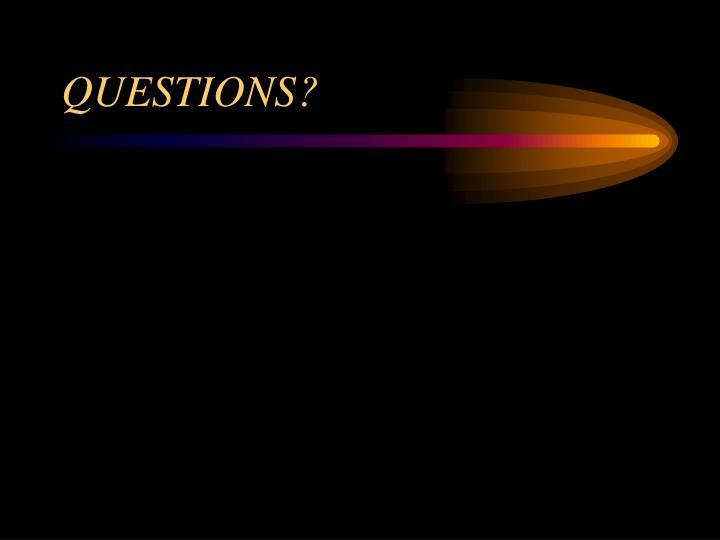 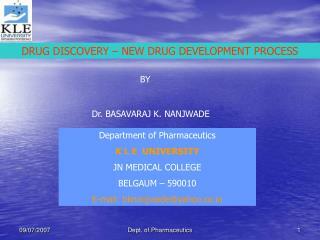 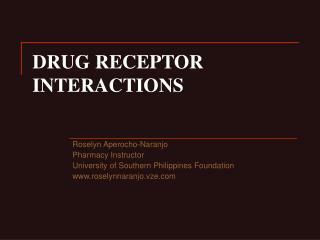 are you drug company dependent?. 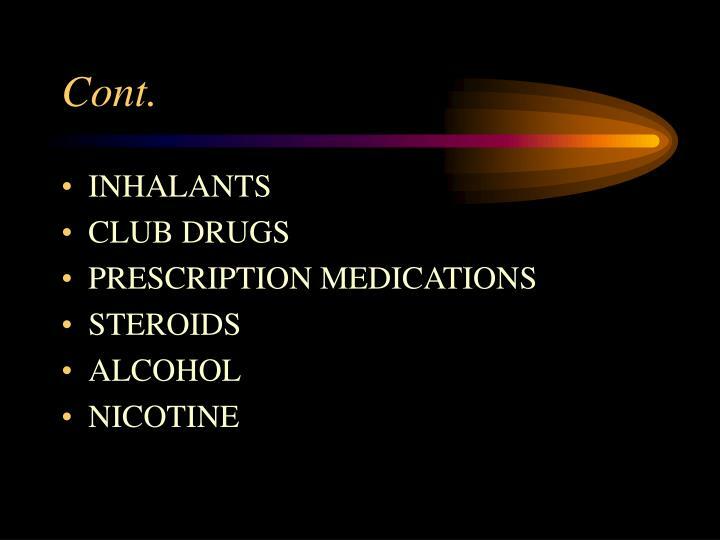 if you answered yes to 2 or more of the above, you may be drug company dependent. levels of interactions:.